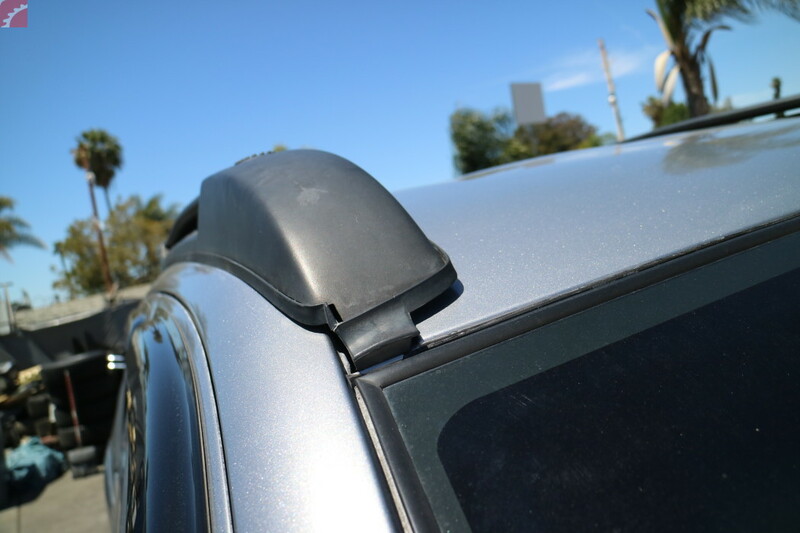 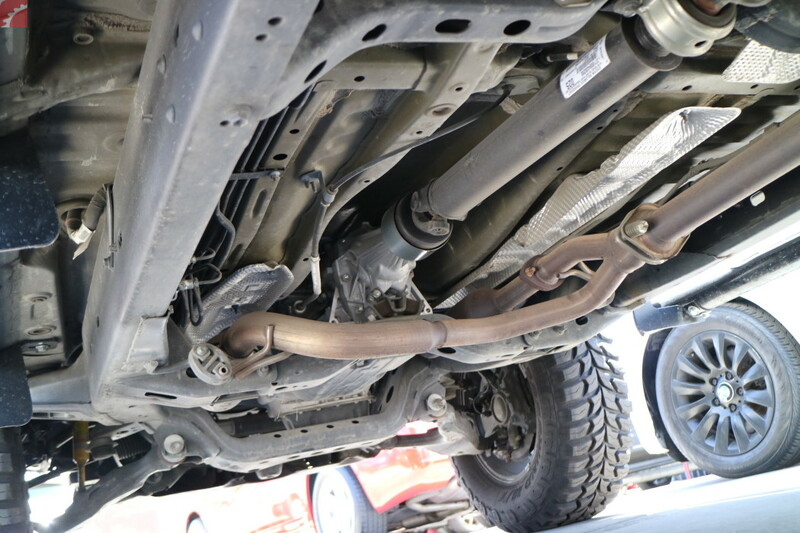 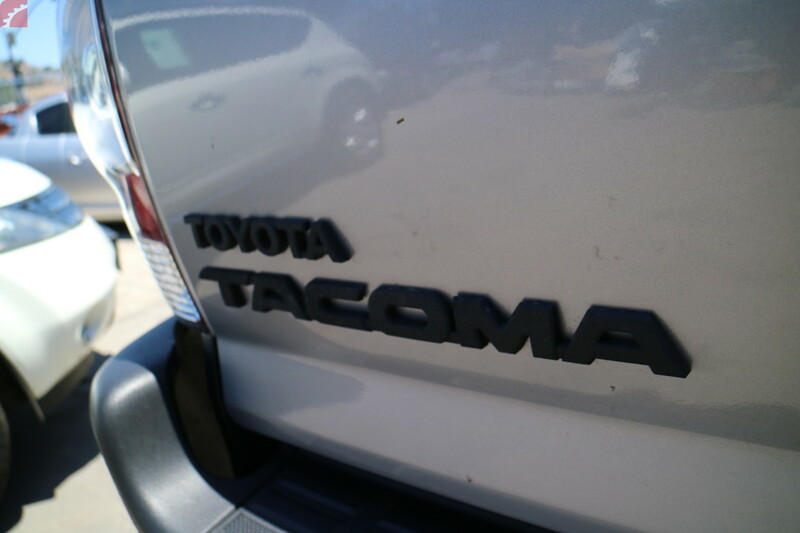 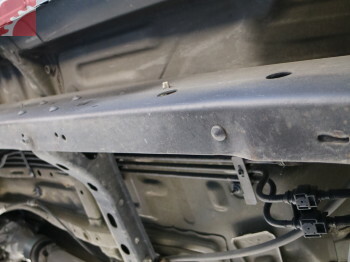 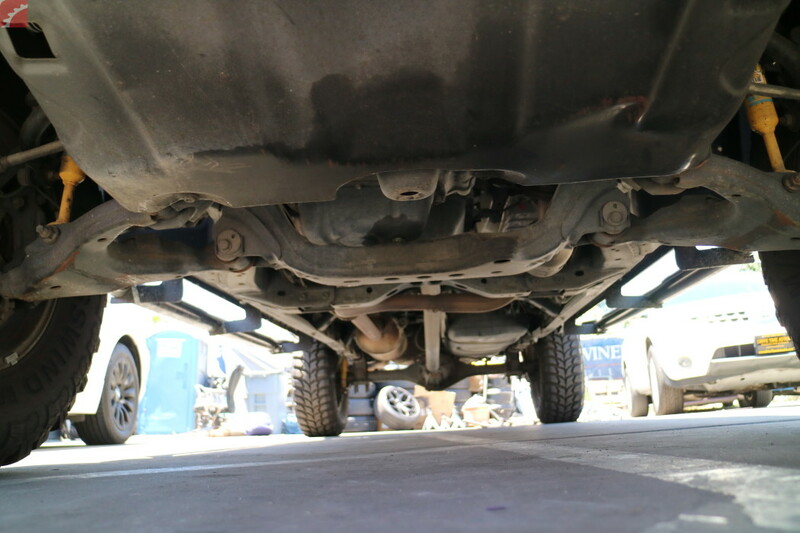 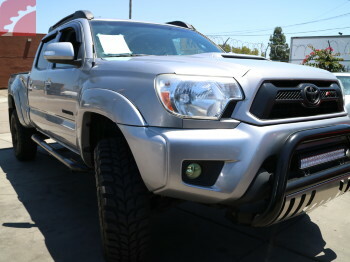 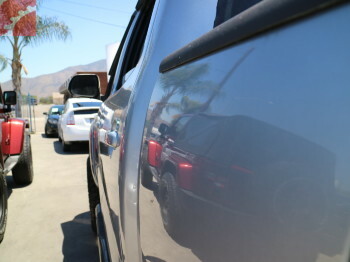 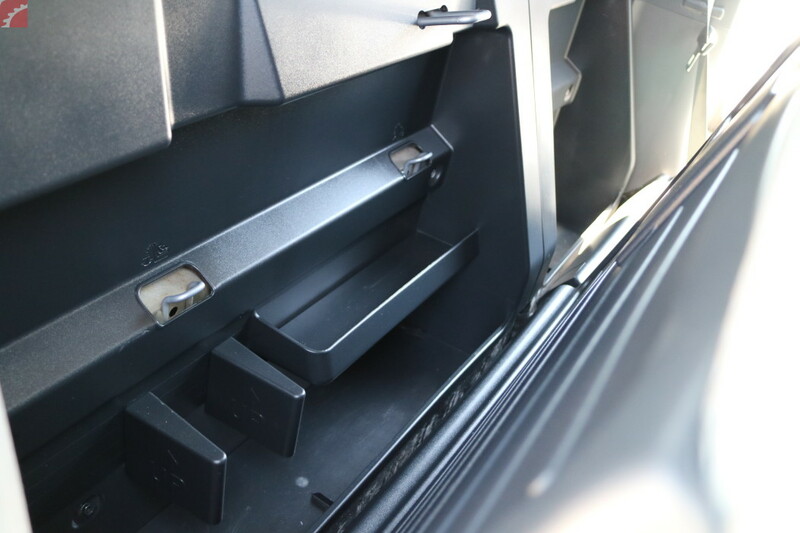 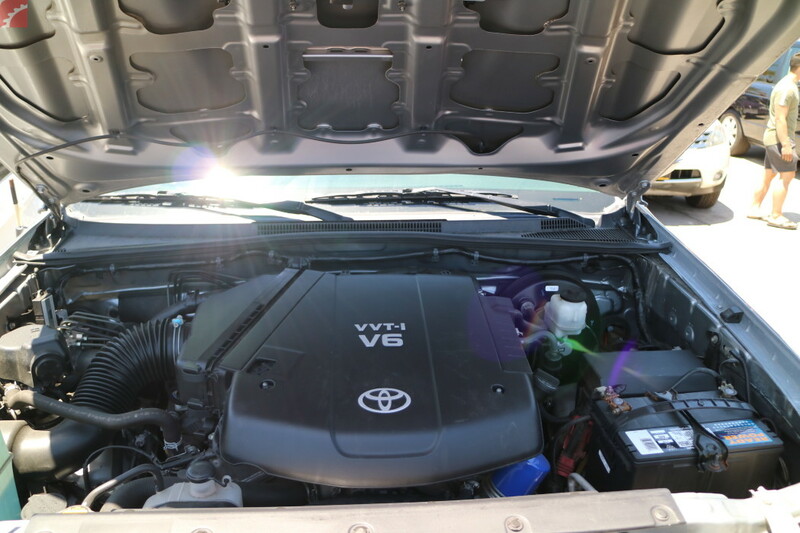 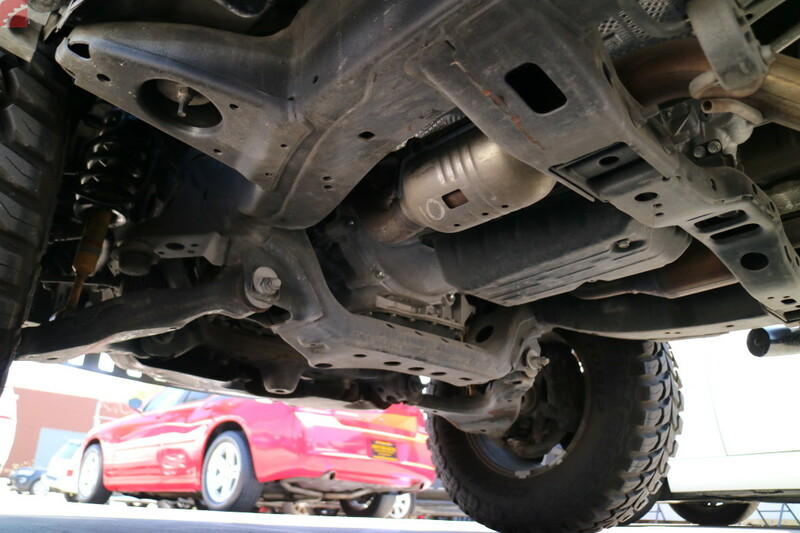 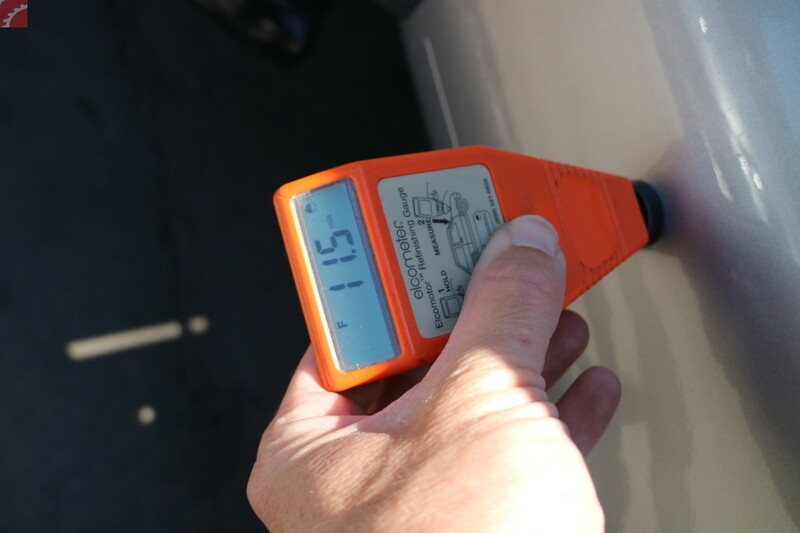 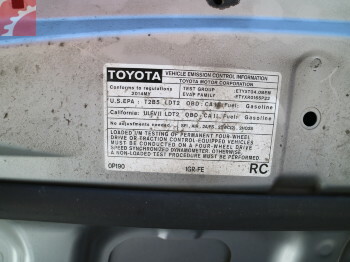 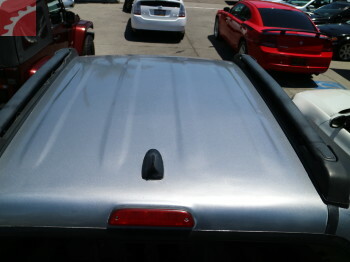 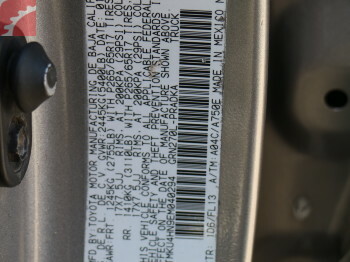 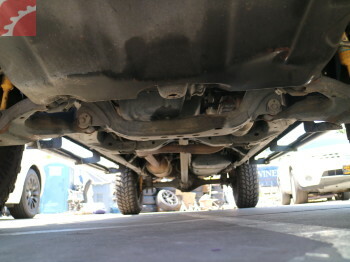 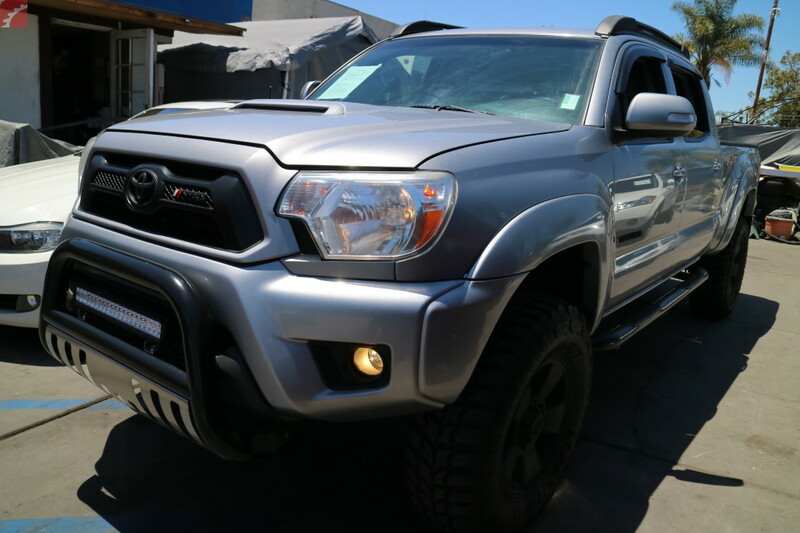 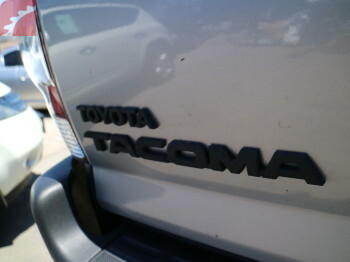 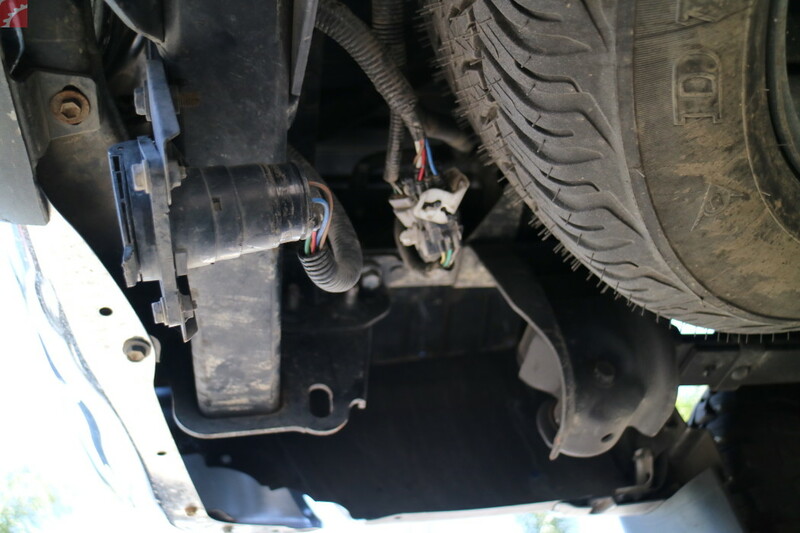 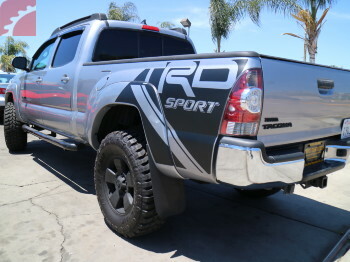 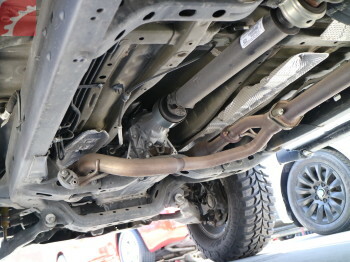 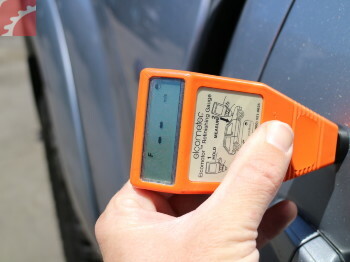 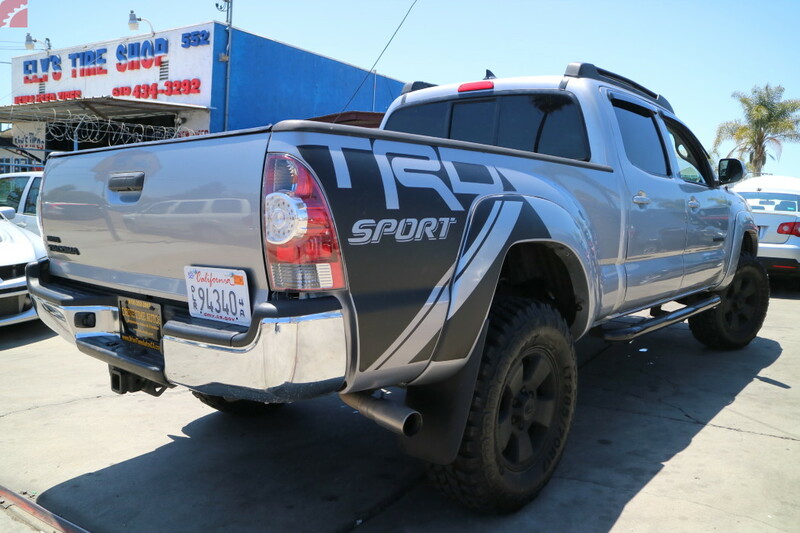 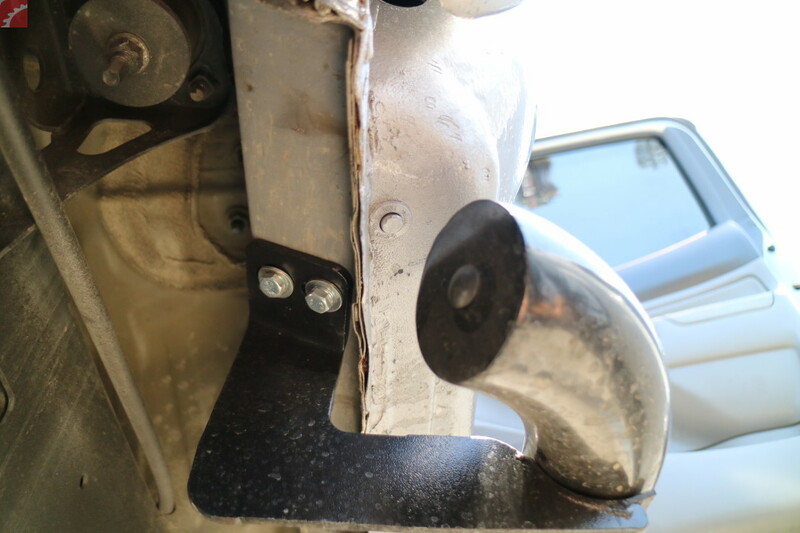 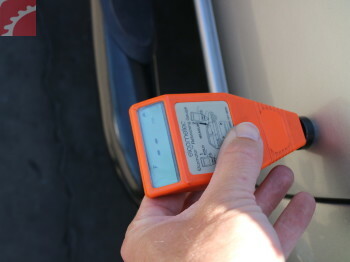 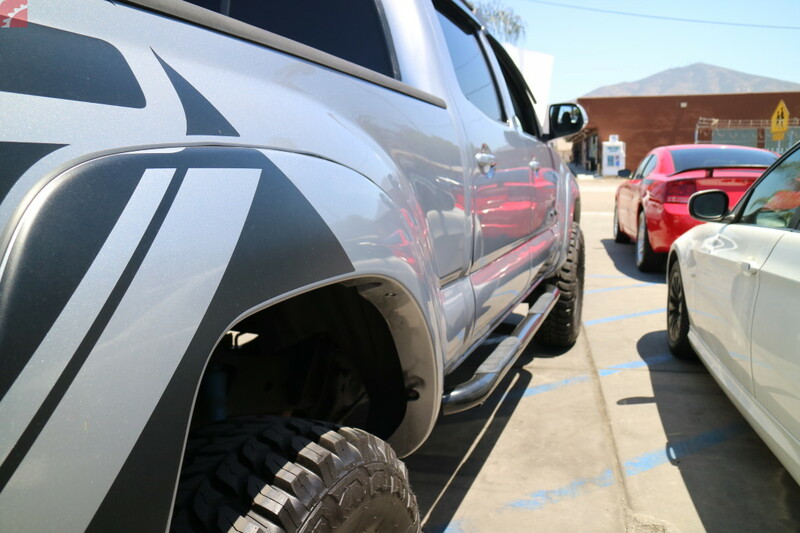 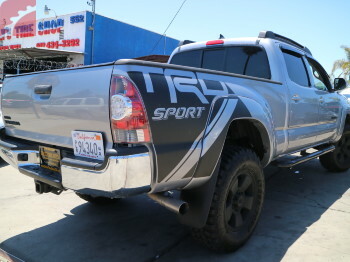 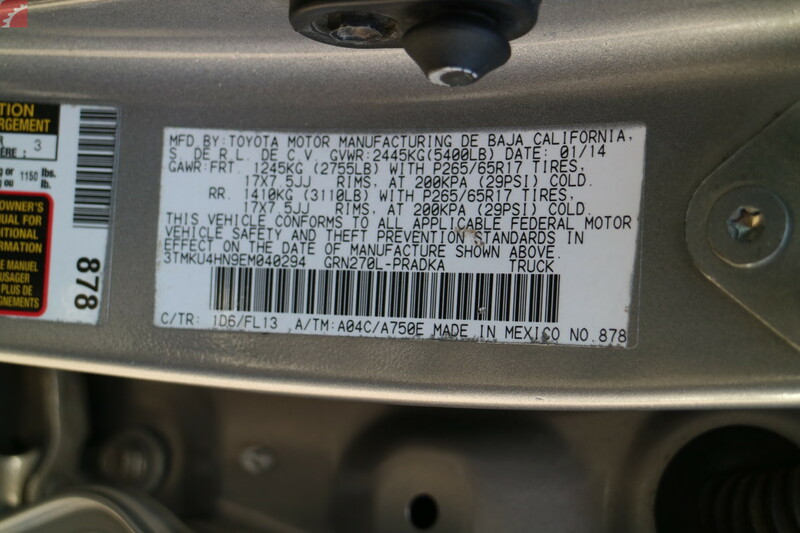 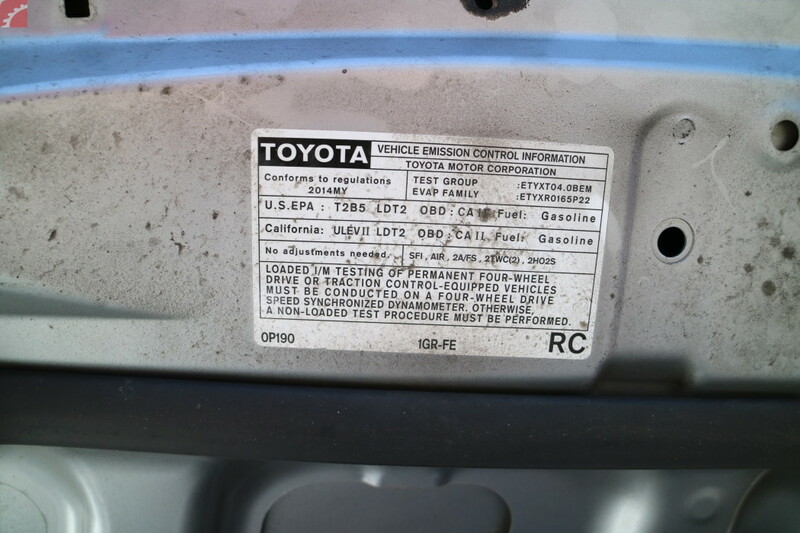 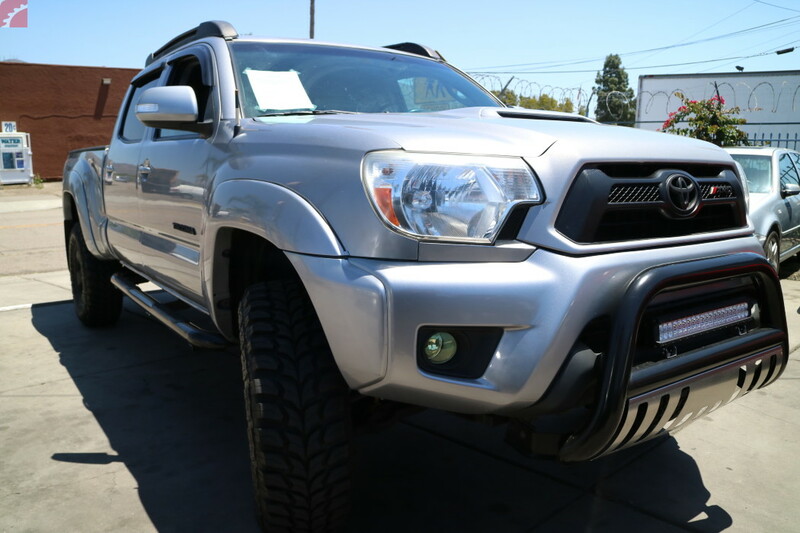 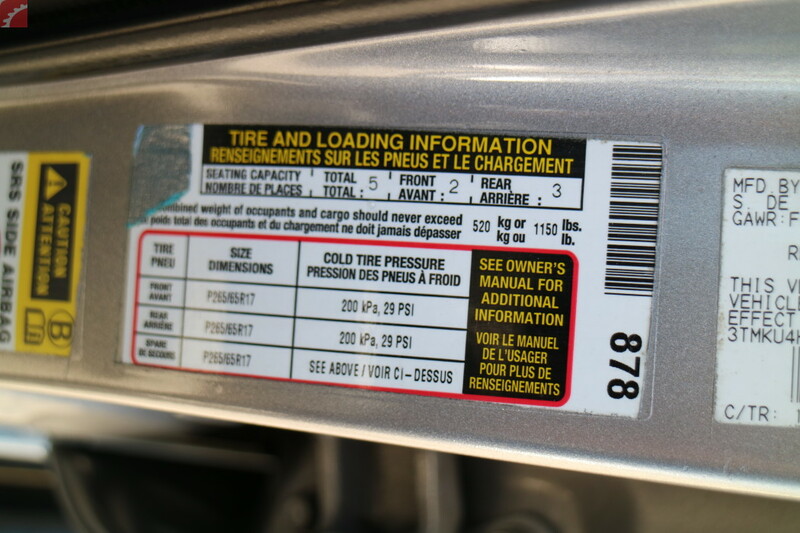 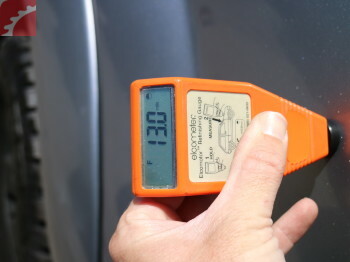 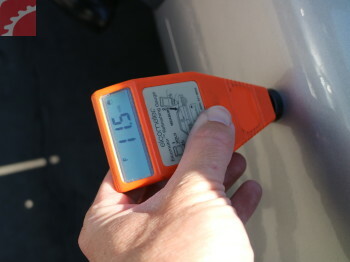 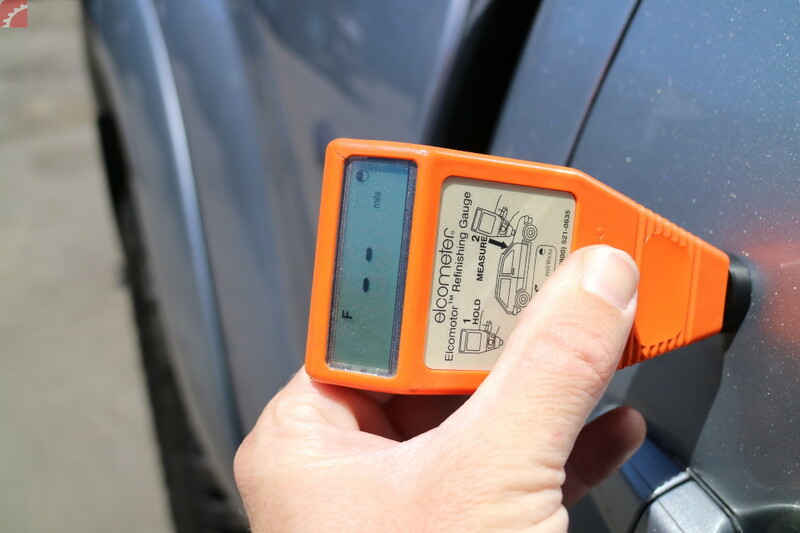 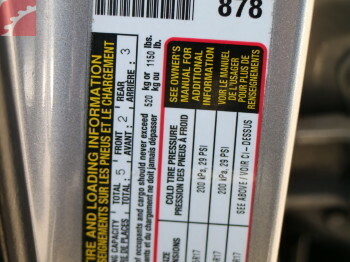 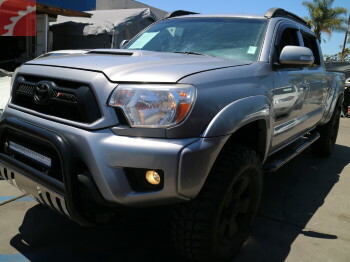 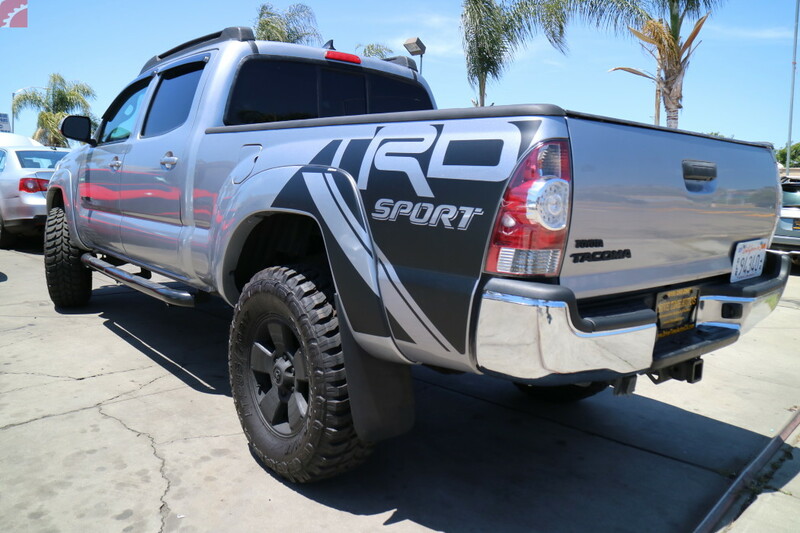 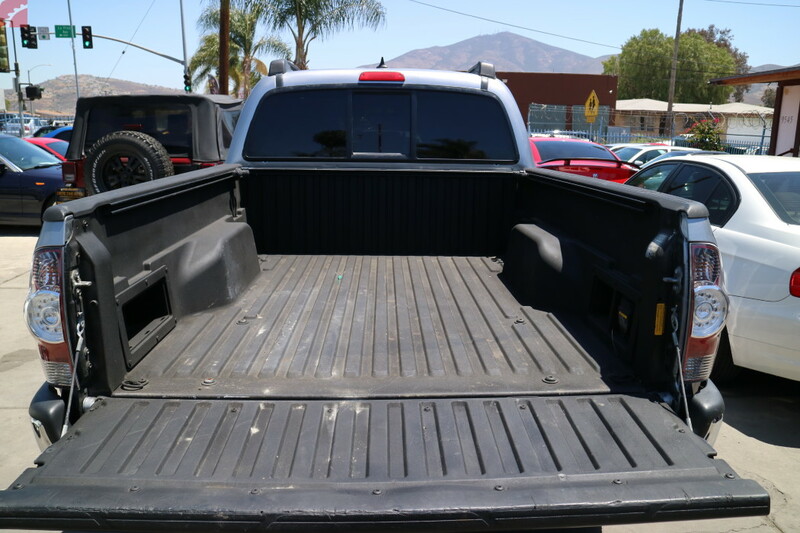 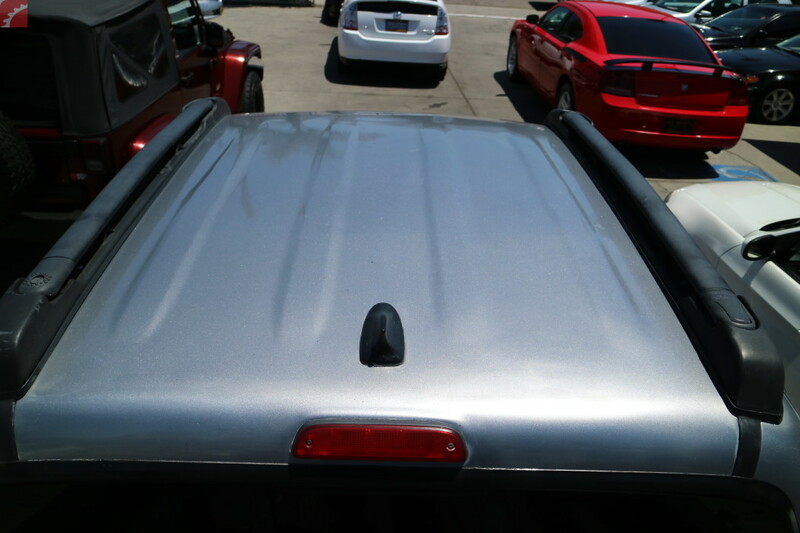 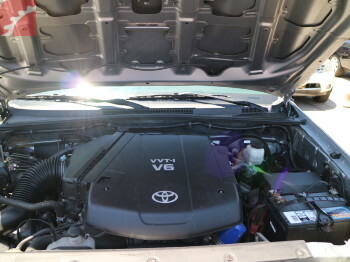 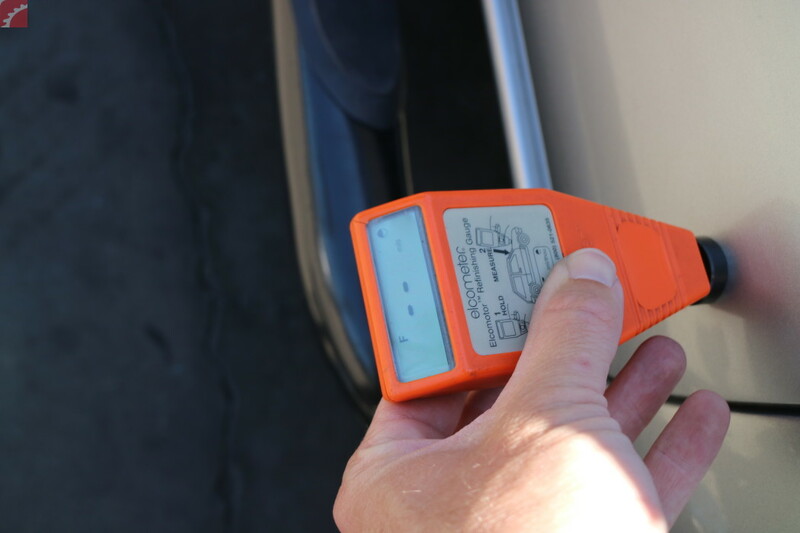 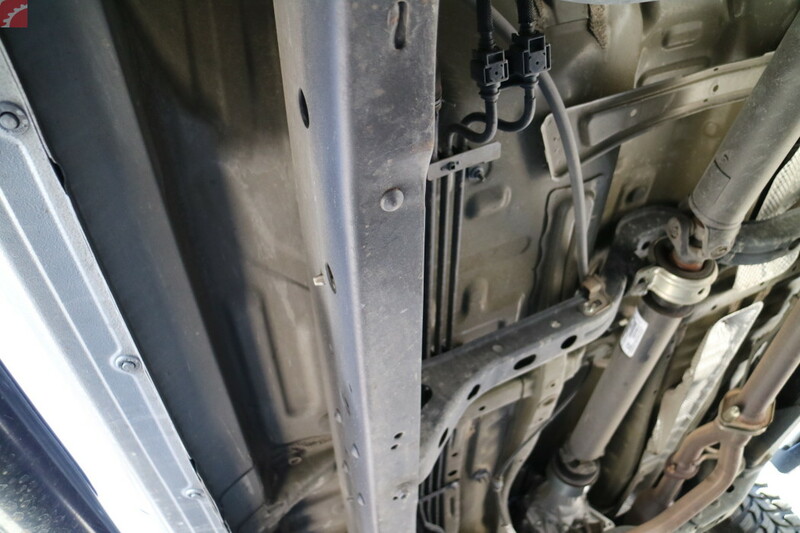 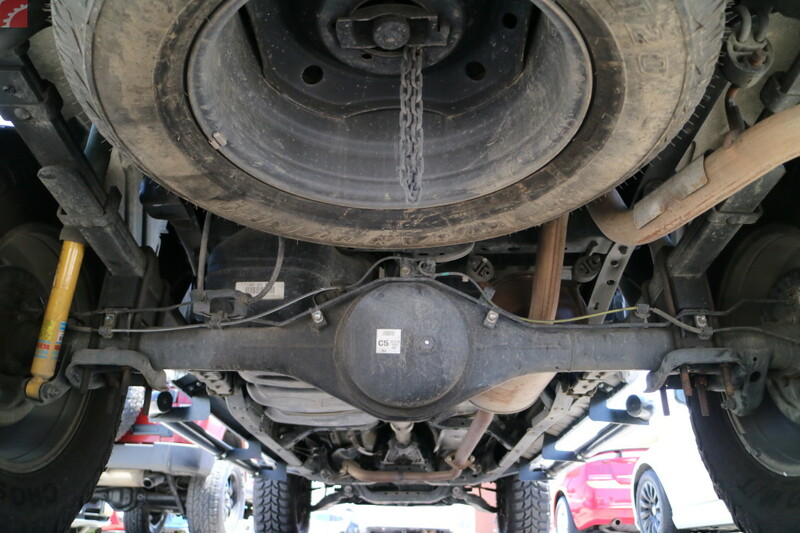 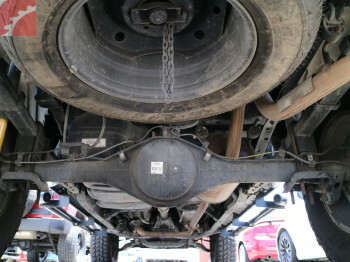 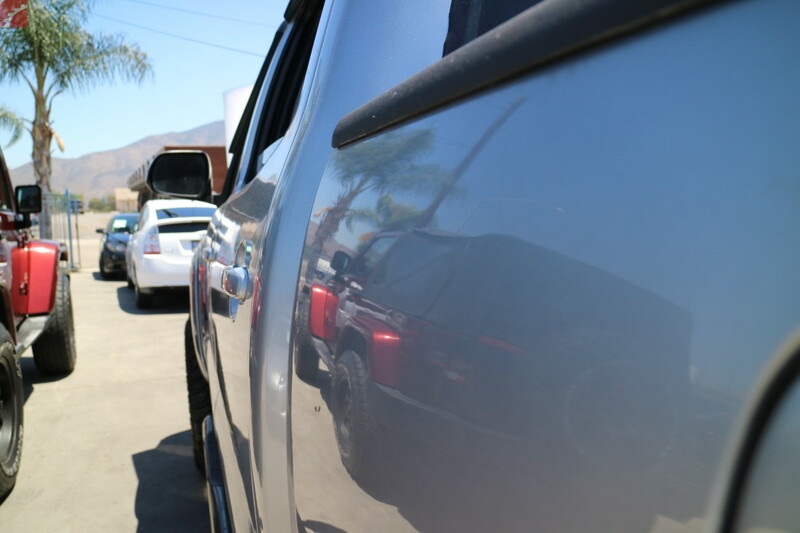 TRUCK BED FITMENT IS OFF BY GREATER THEN 1"
Salvage title Toyota Tacoma pre-purchase inspection. 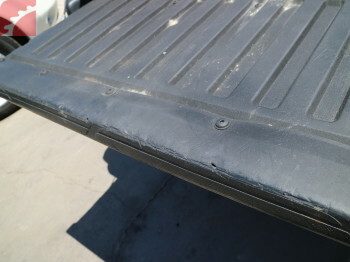 Truck has been in a major collision. 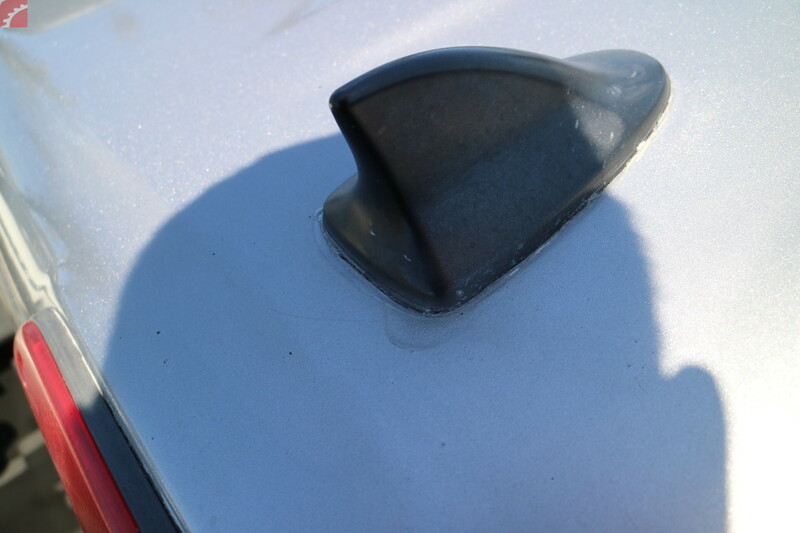 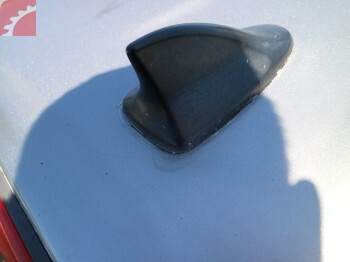 Every panel has been repainted, areas of large amounts of body filler used. 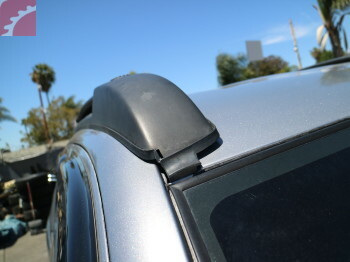 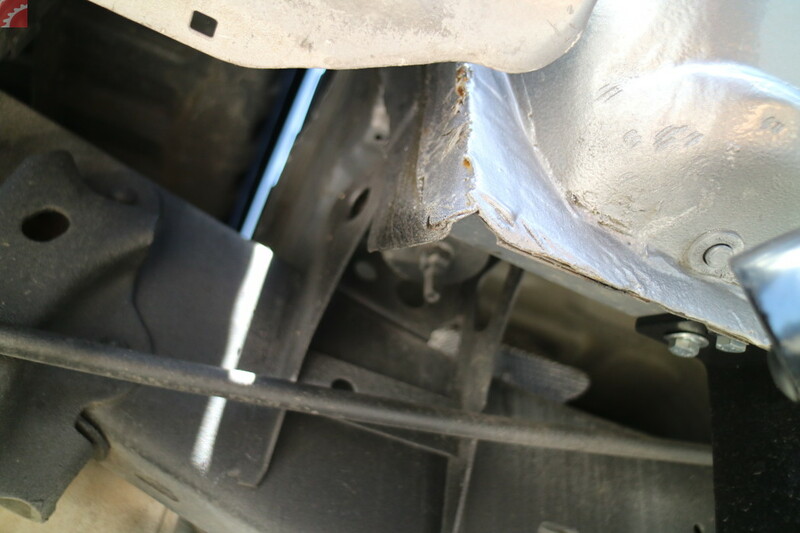 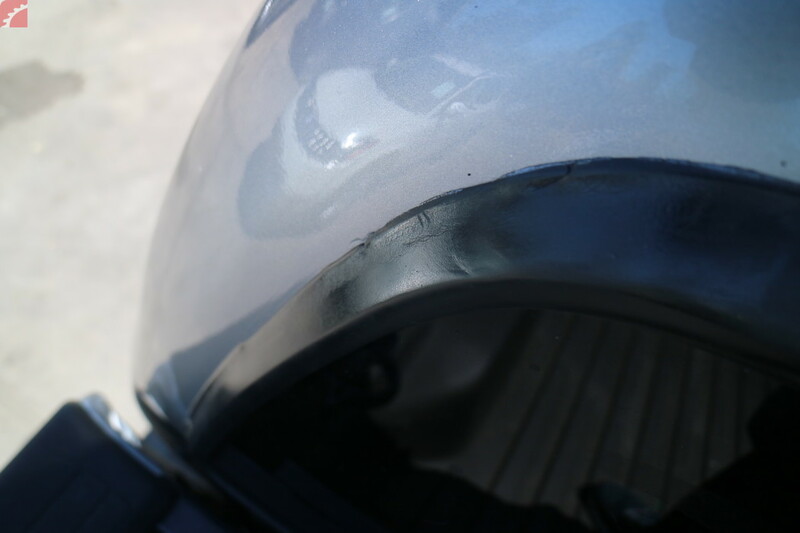 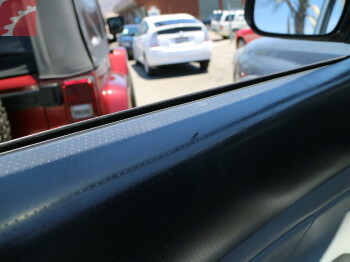 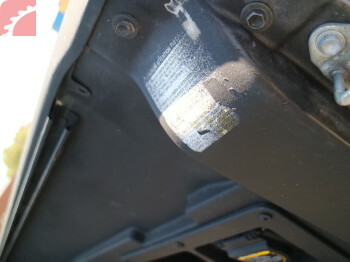 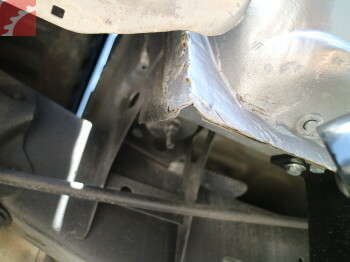 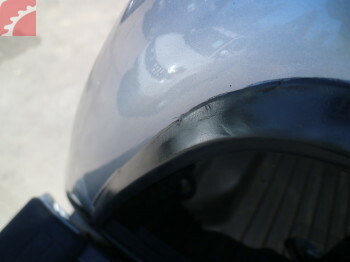 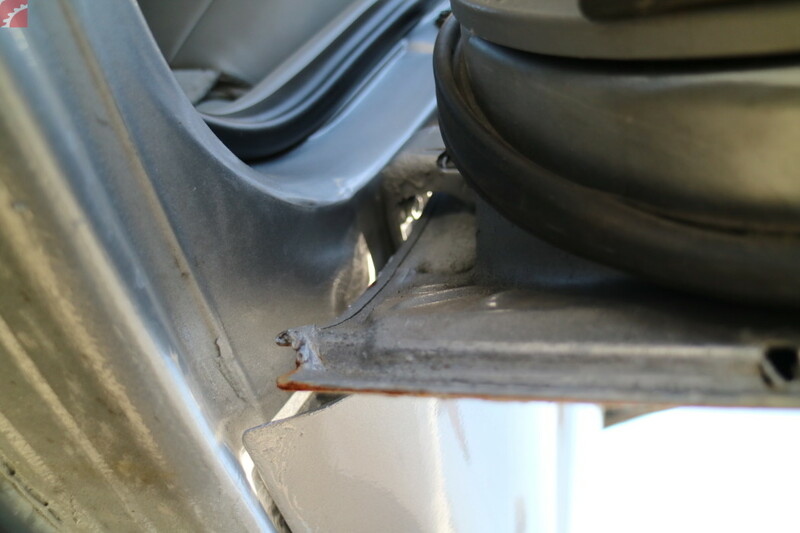 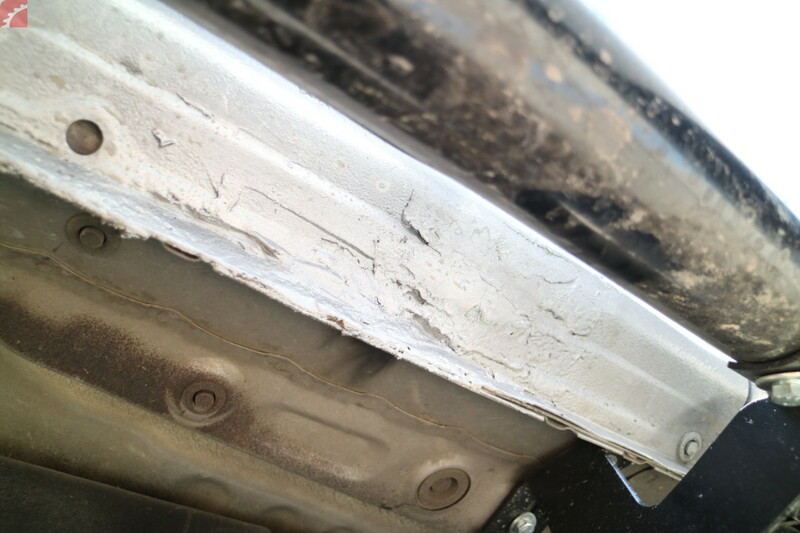 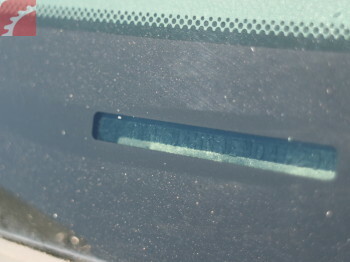 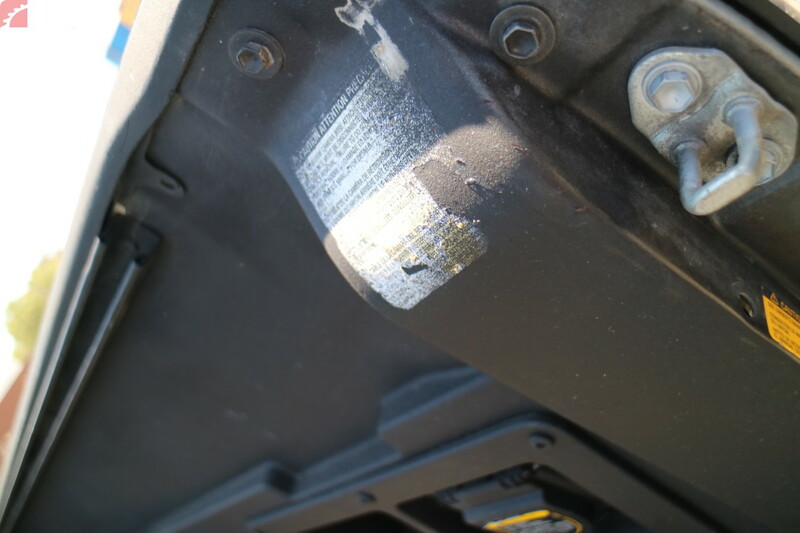 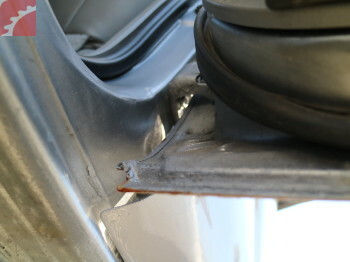 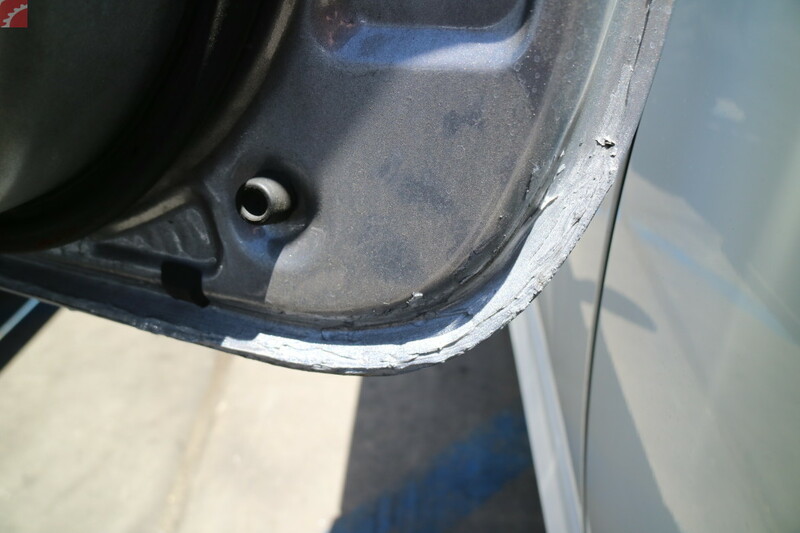 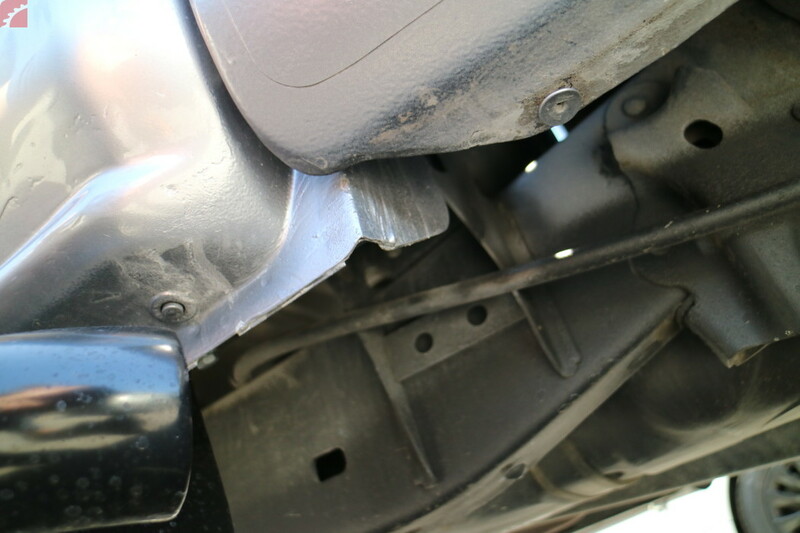 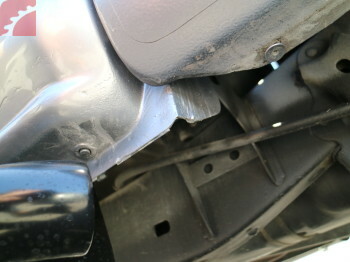 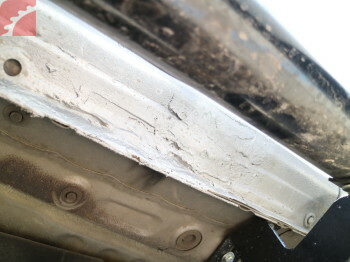 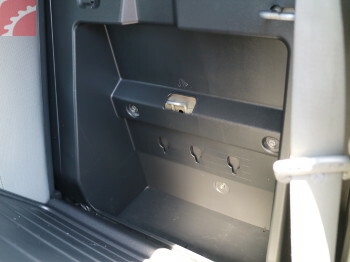 Body and door seams on right side of vehicle are split at welds, and filler has been placed over area to cover damage. 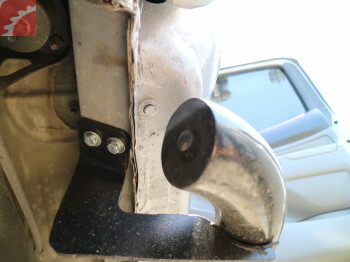 Frame on left side looks bent. 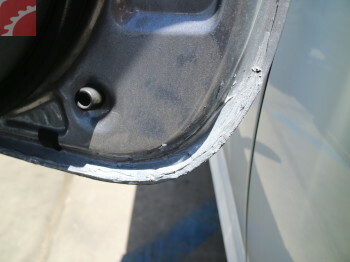 Paint is uneven in areas, "orange peel" , "fish eyes" and multiple runs in paint. 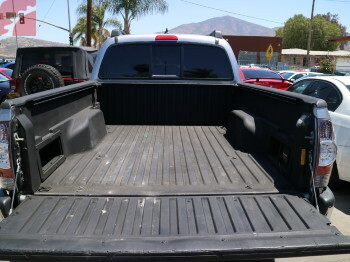 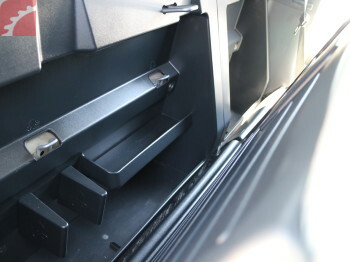 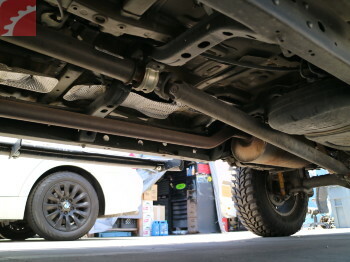 The truck bed is off center by over 1", panel fitment is off on right side. 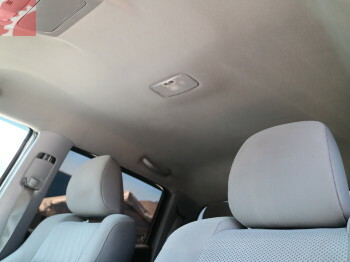 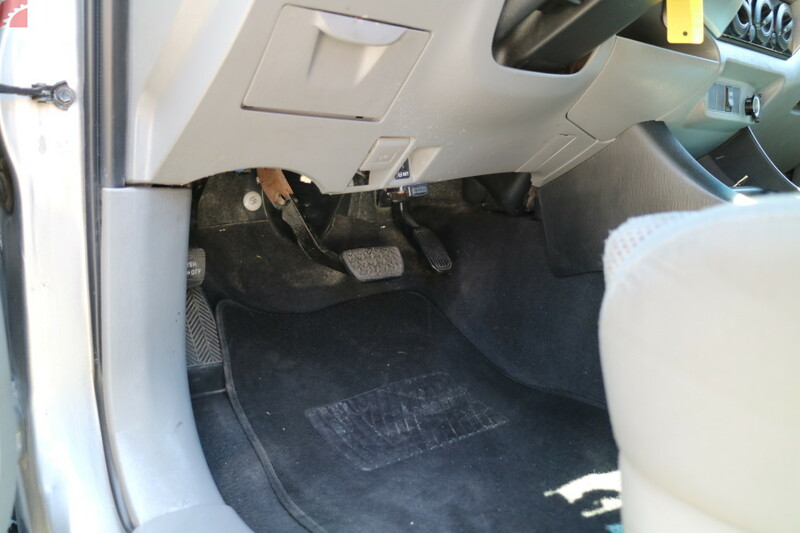 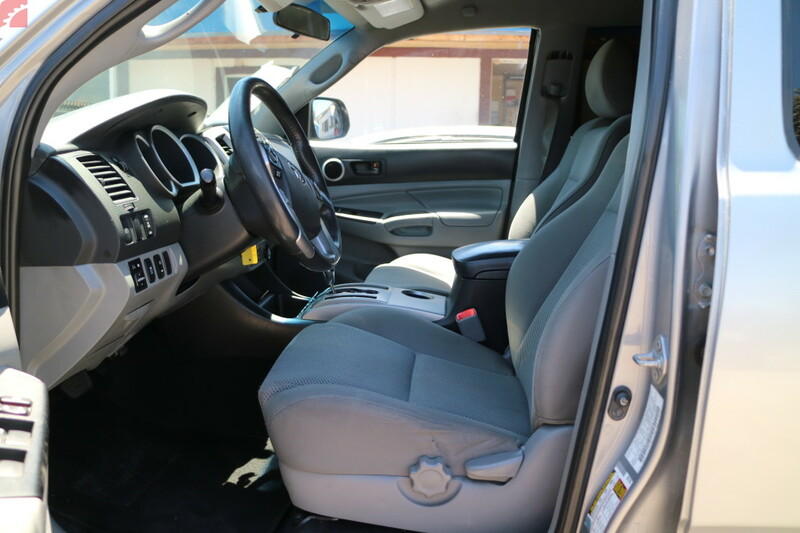 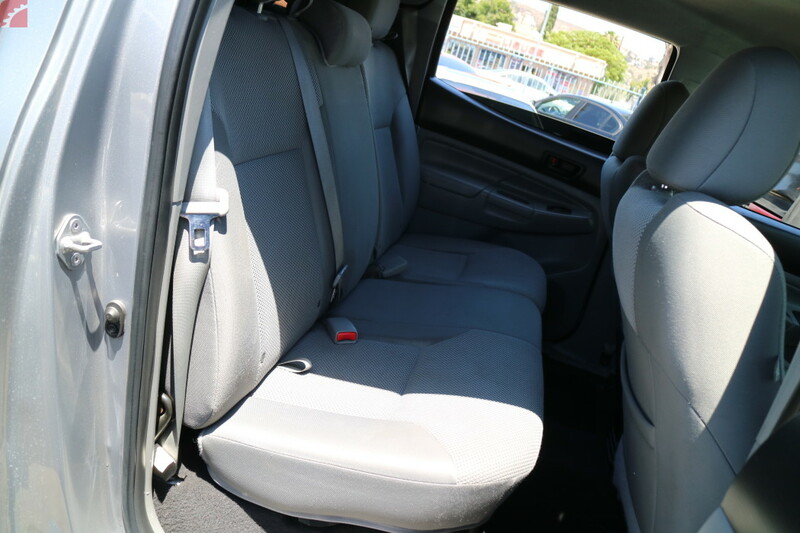 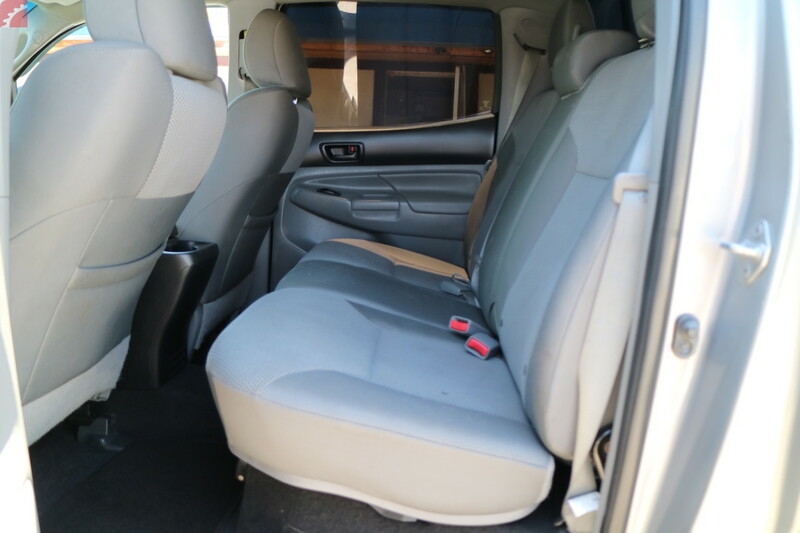 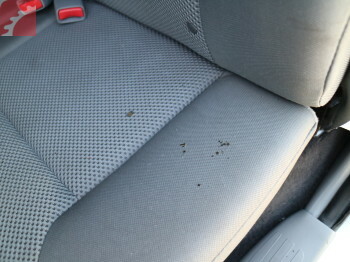 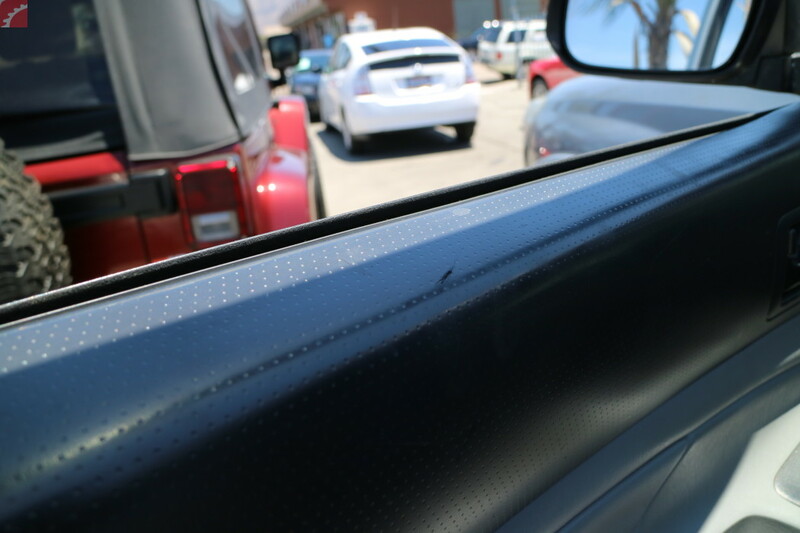 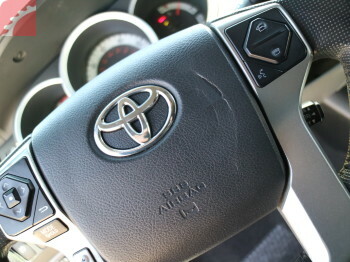 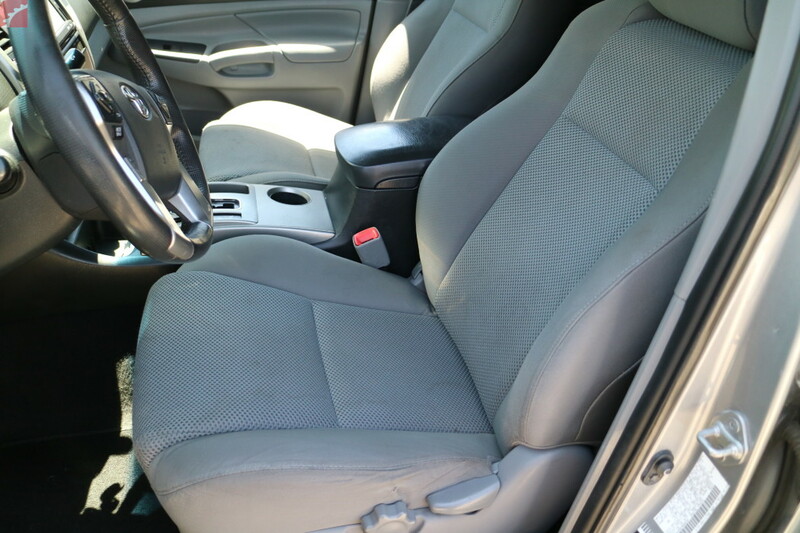 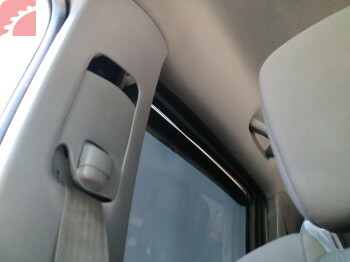 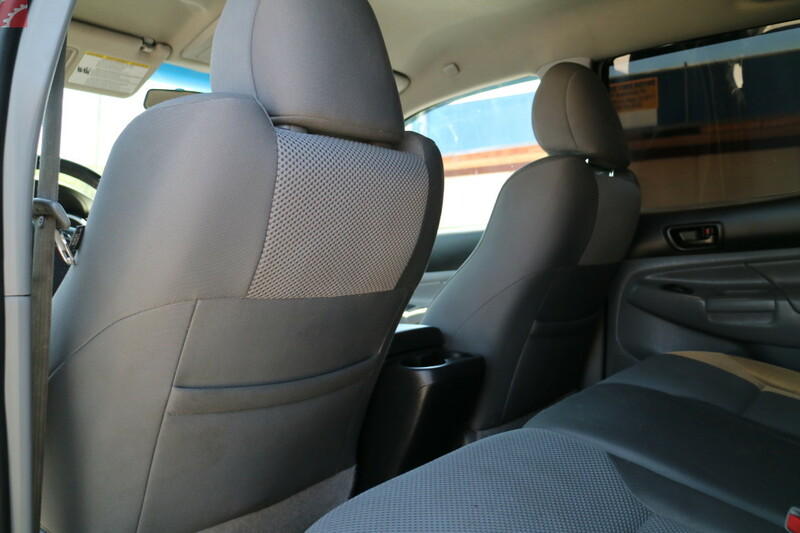 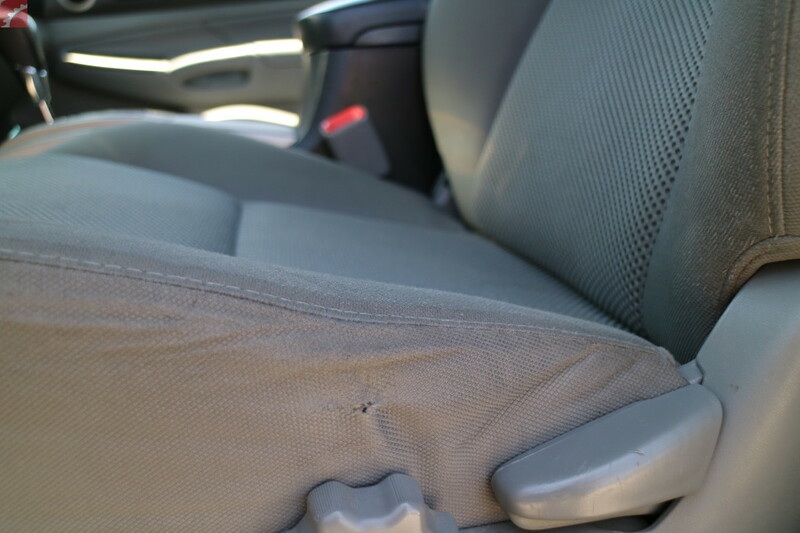 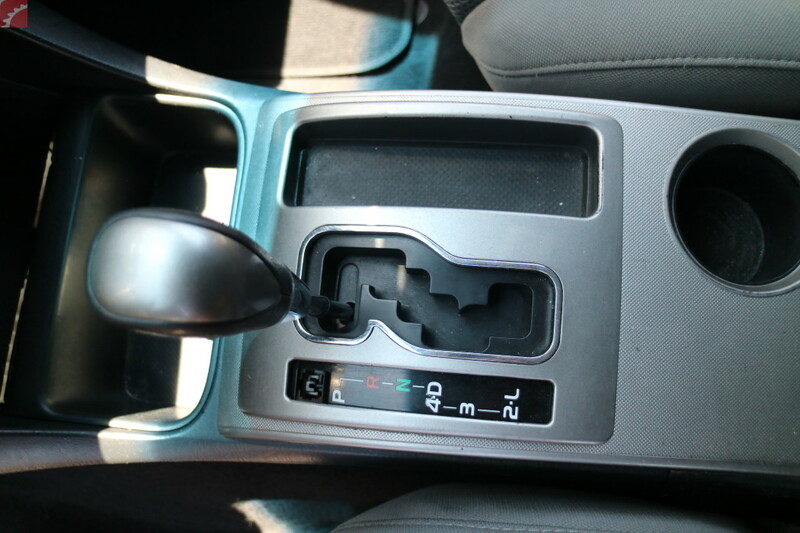 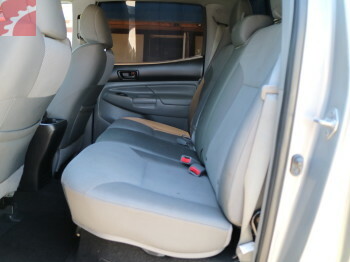 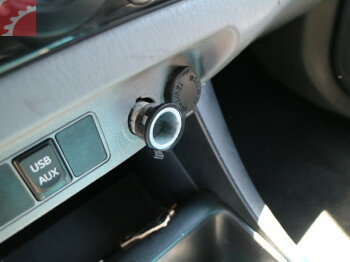 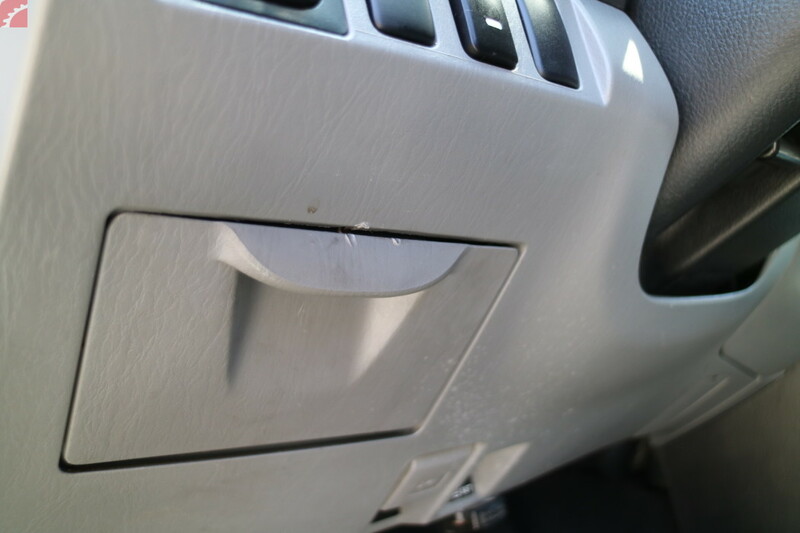 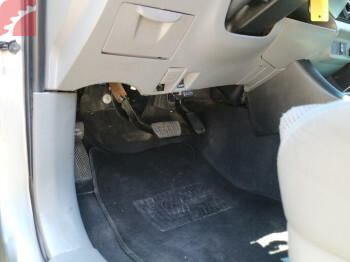 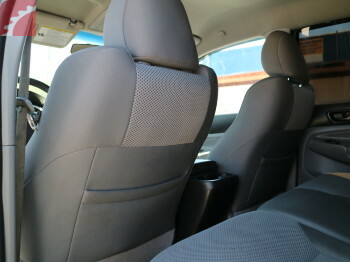 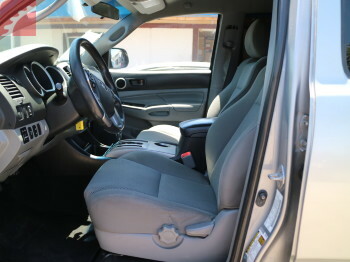 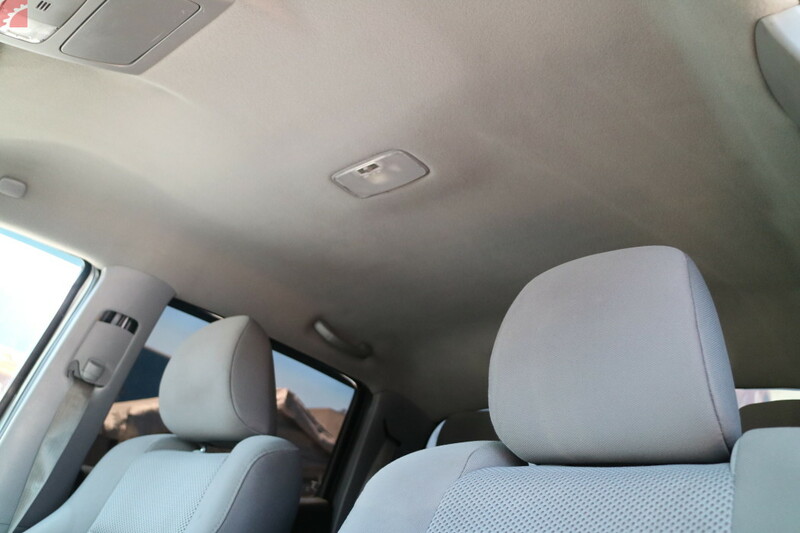 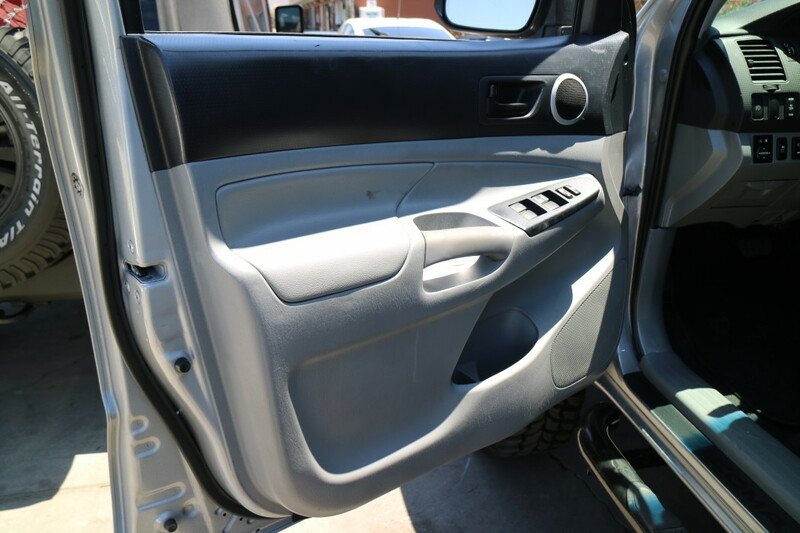 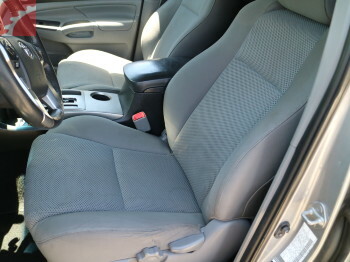 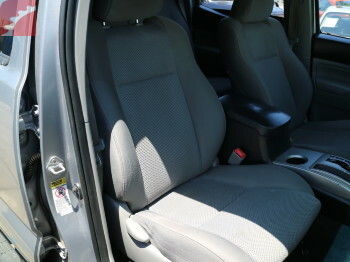 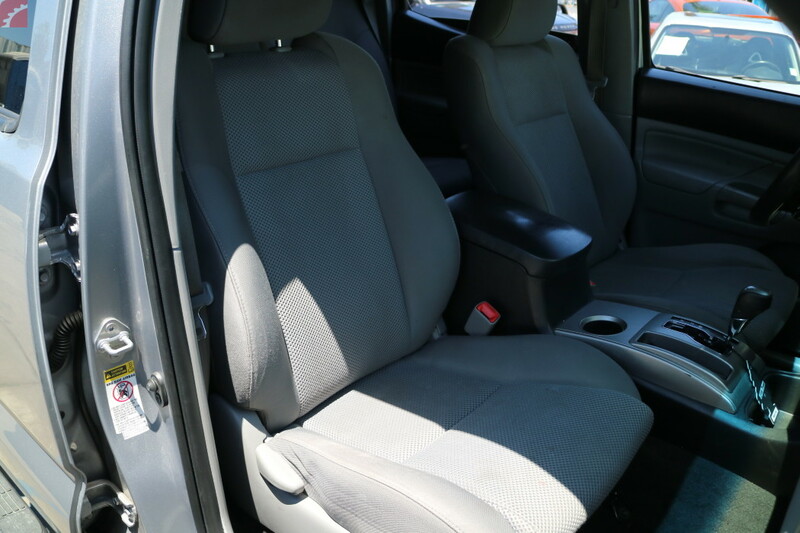 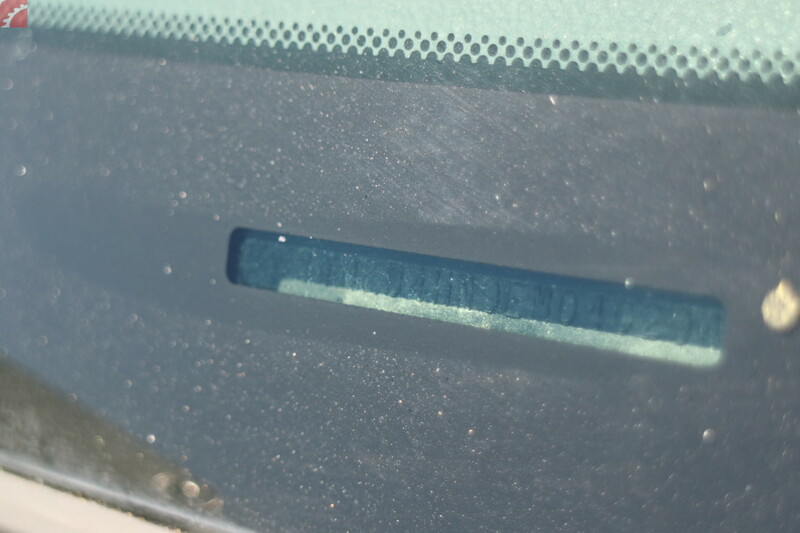 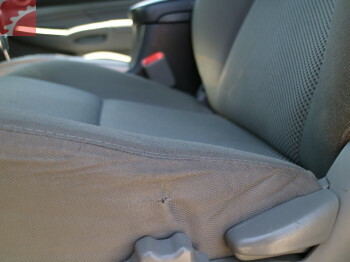 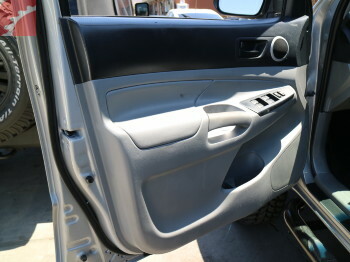 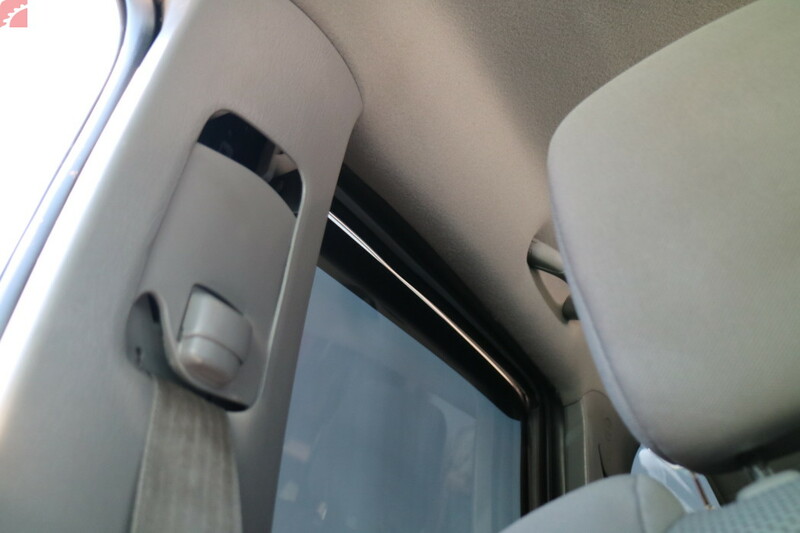 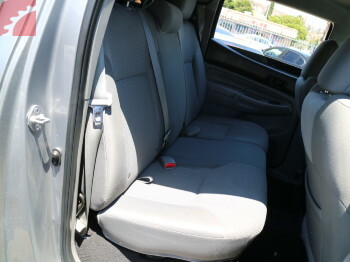 Interior has average wear, some broken items, damaged trim. 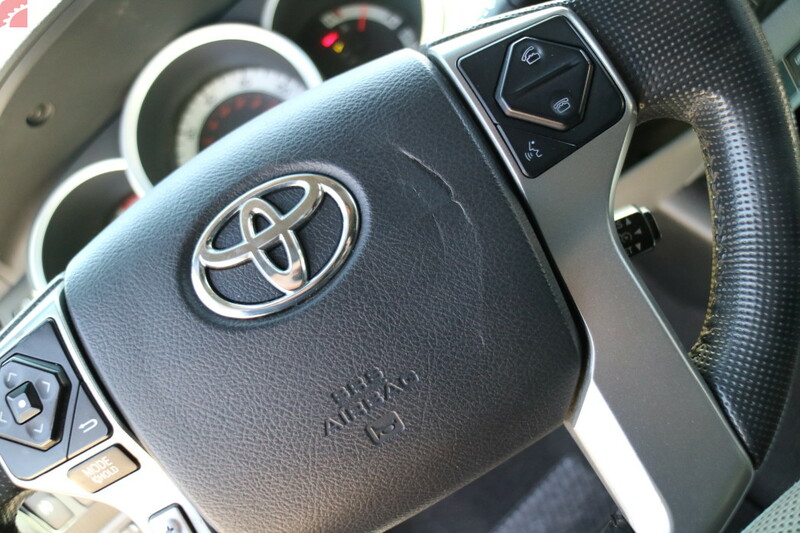 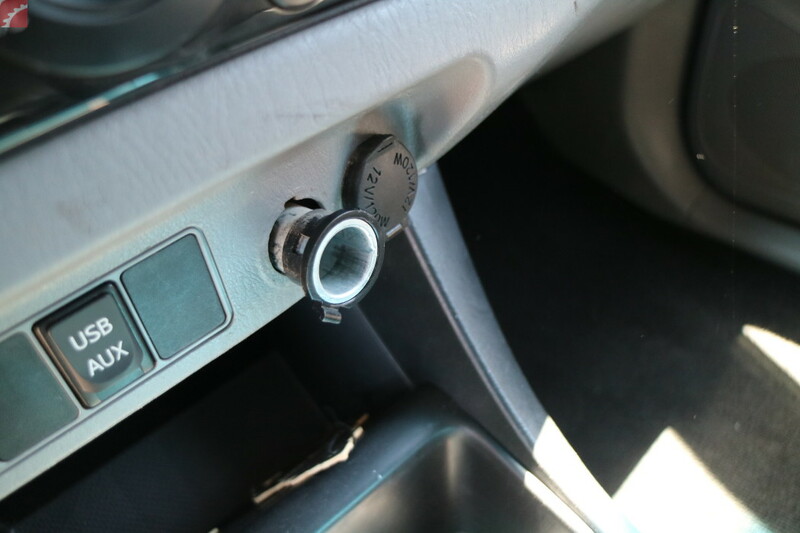 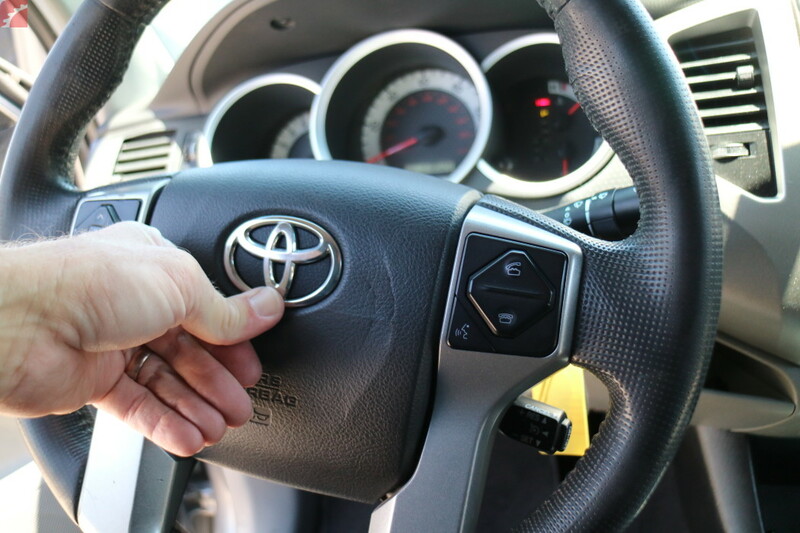 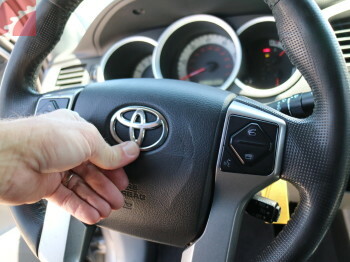 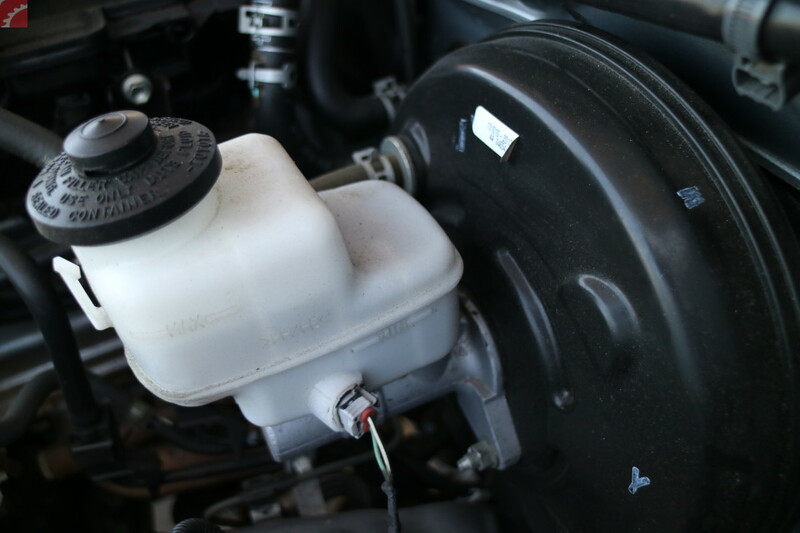 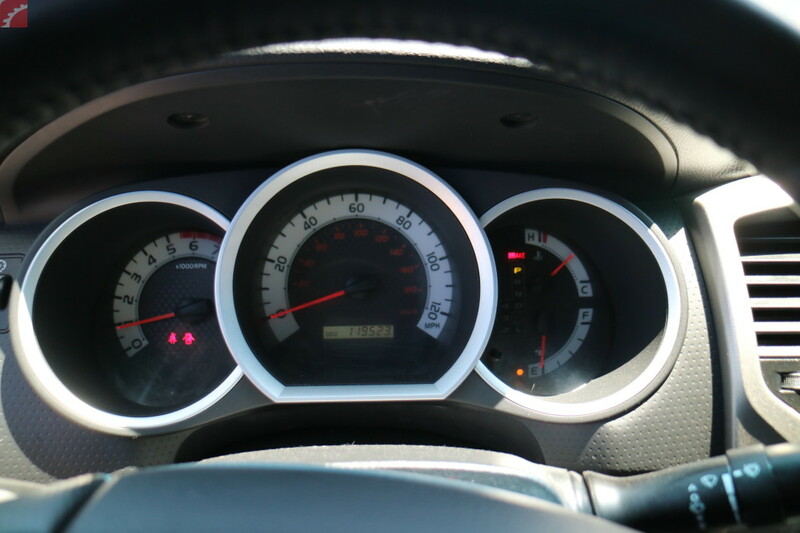 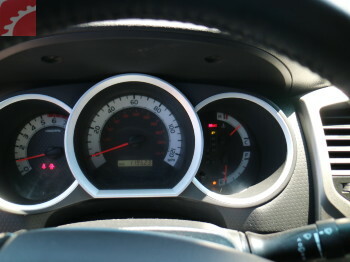 Horn is not working, appears that steering wheel air bag may be missing, but airbag warning light is not on. 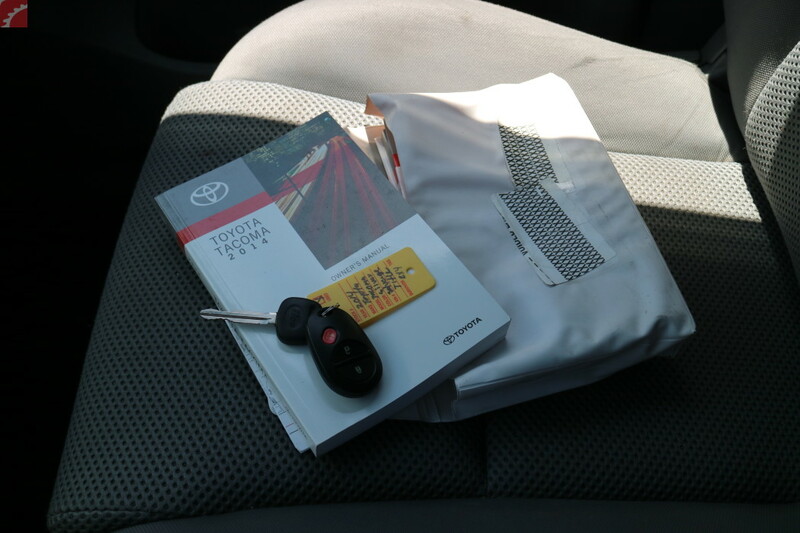 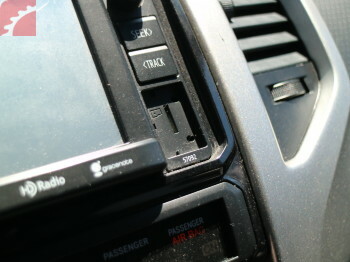 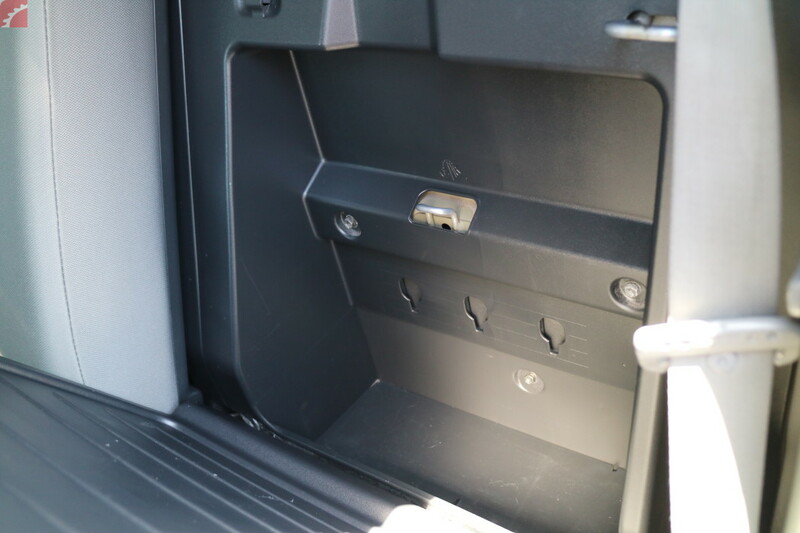 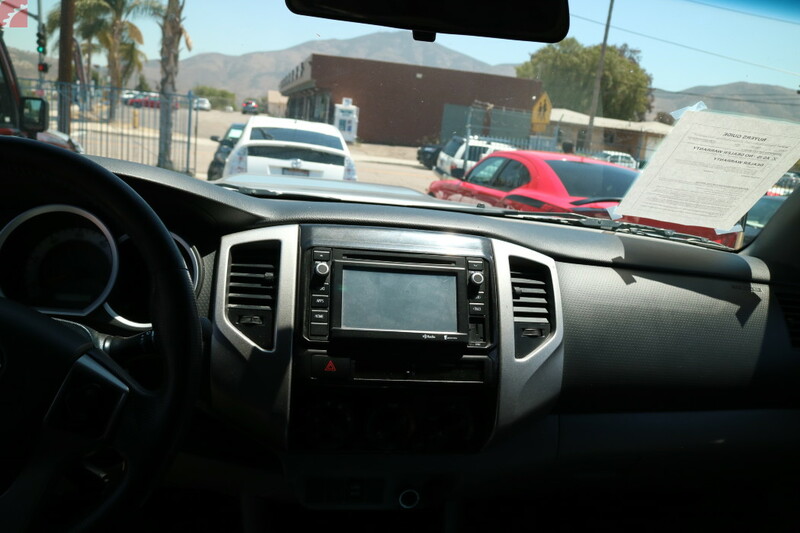 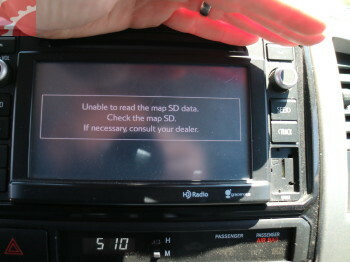 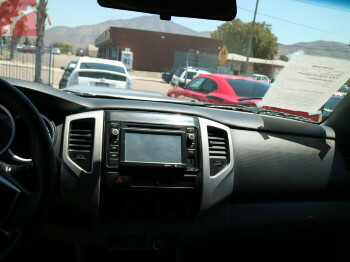 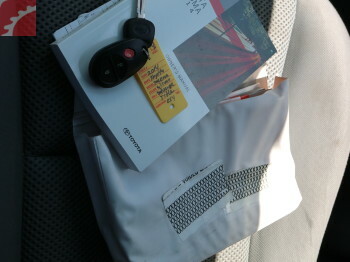 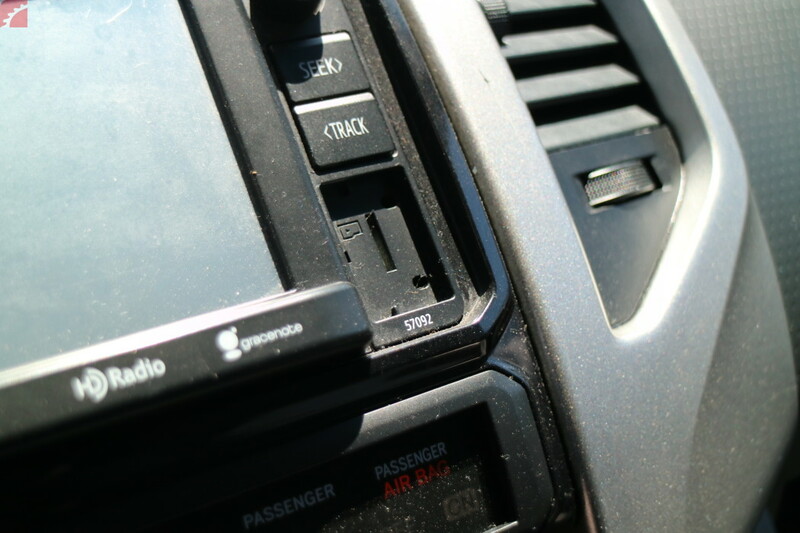 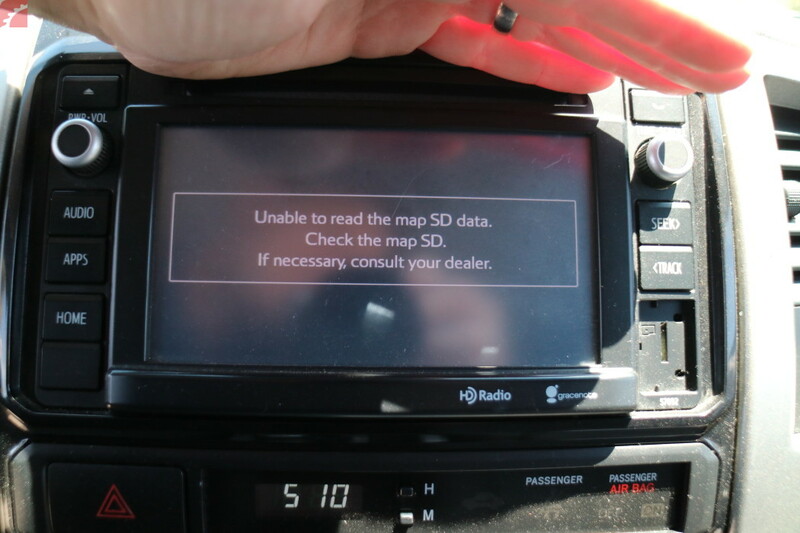 Navigation card is missing, nav is inoperable, screen is scratched. 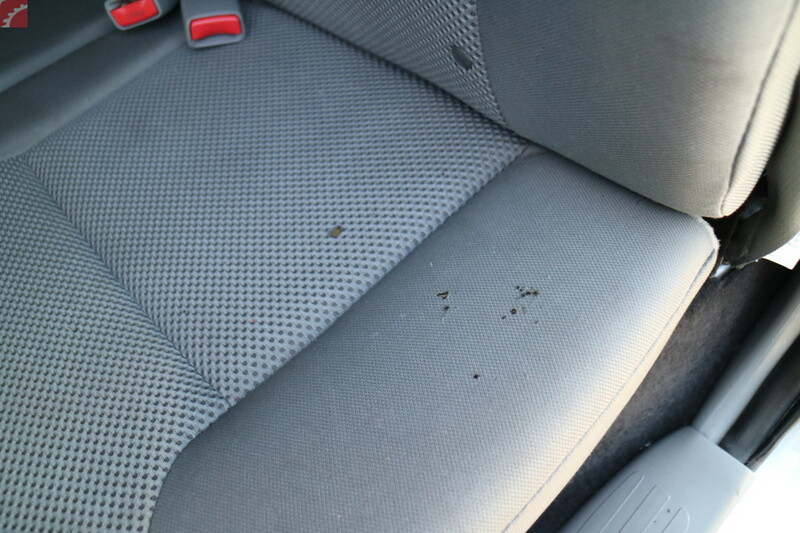 Slight smoke odor in cabin, headliner is dirty, smoker's residue in fabric. 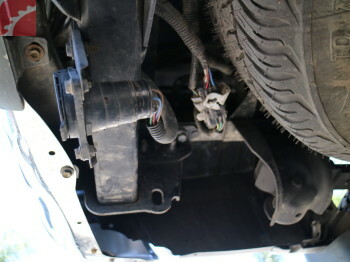 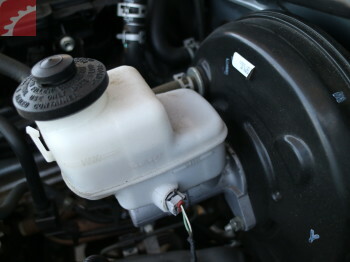 Engine and drive train are free of damage. 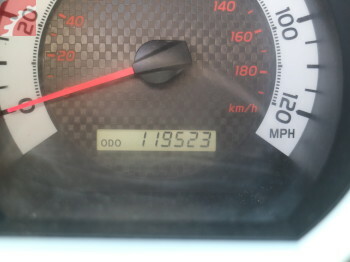 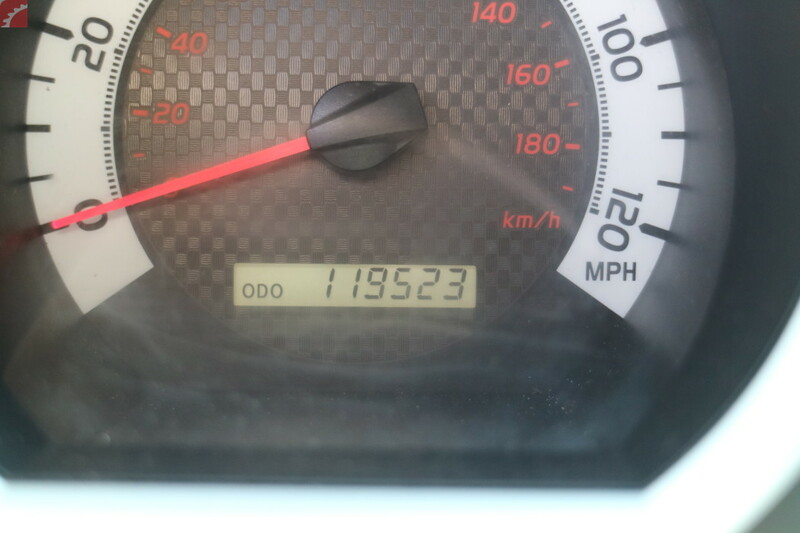 Engine started without issue. 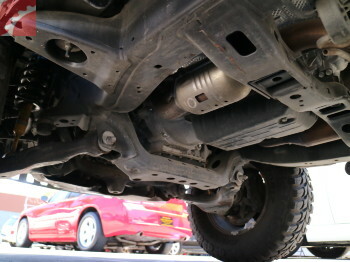 Transmission shifting smoothly, brakes checked okay. 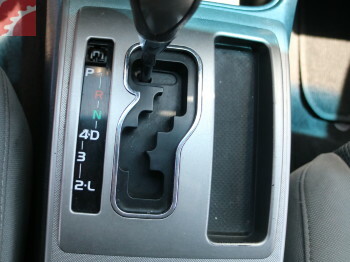 Steering wheel and alignment are off center, trucks drifts left to right. 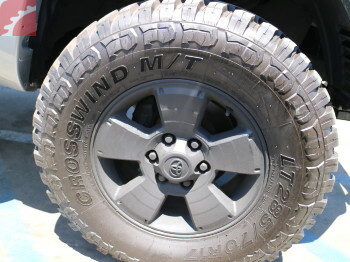 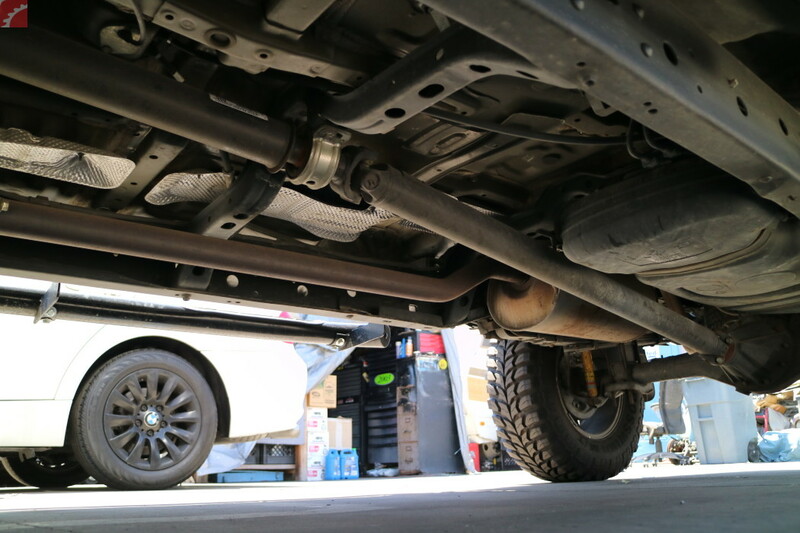 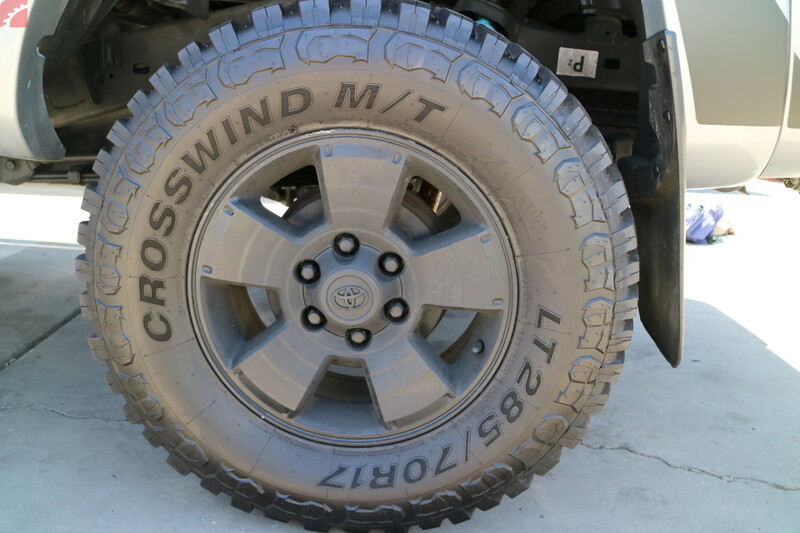 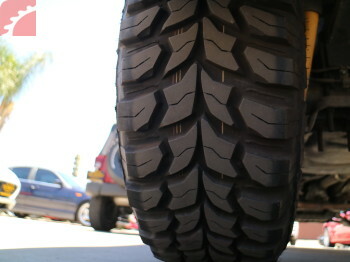 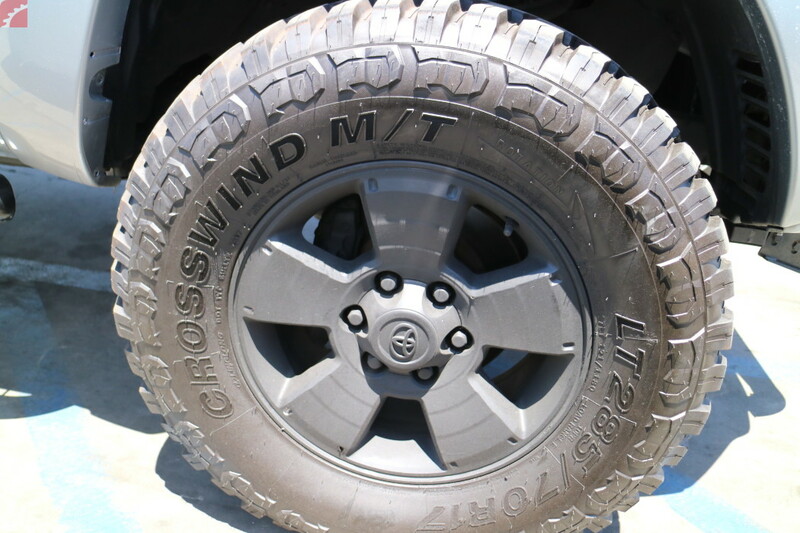 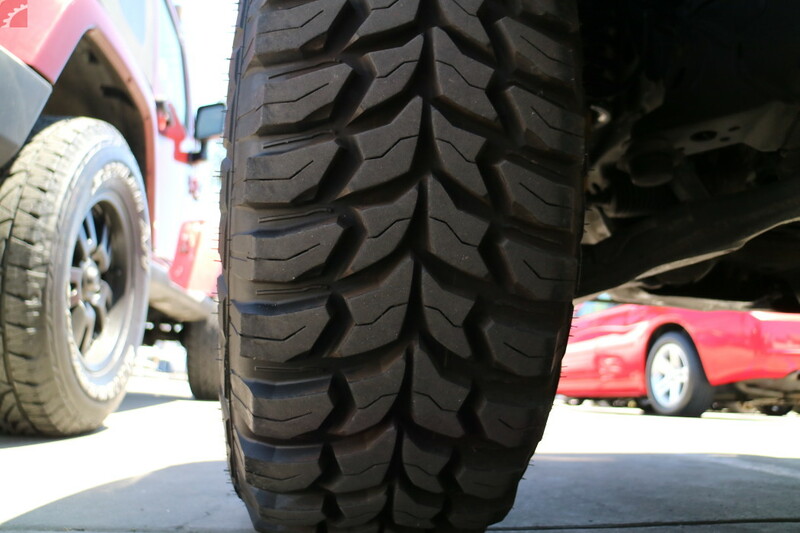 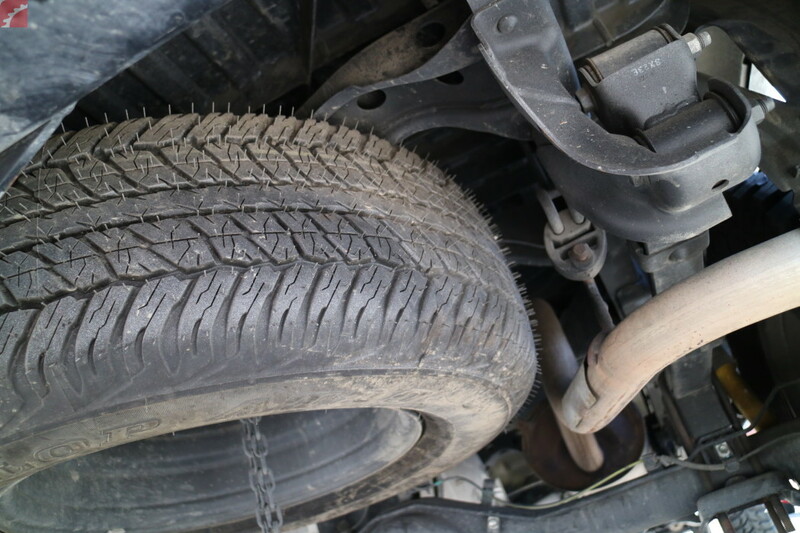 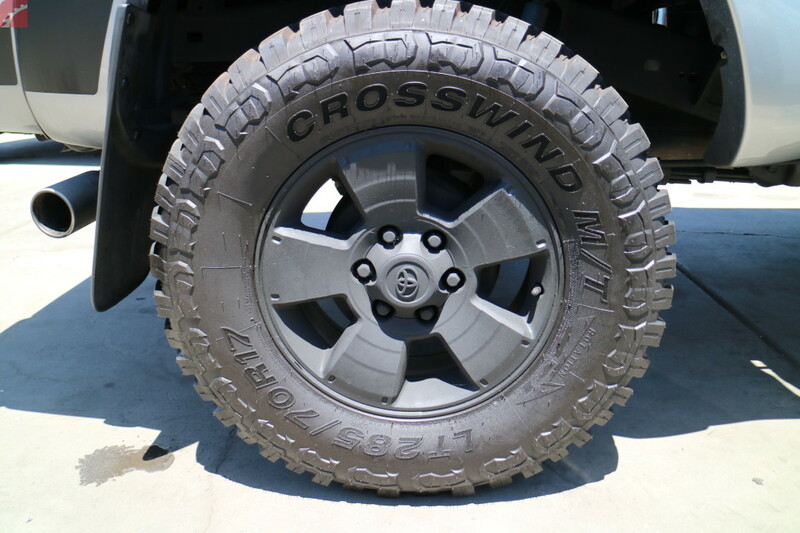 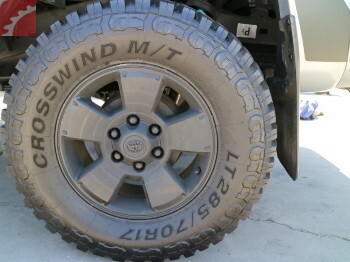 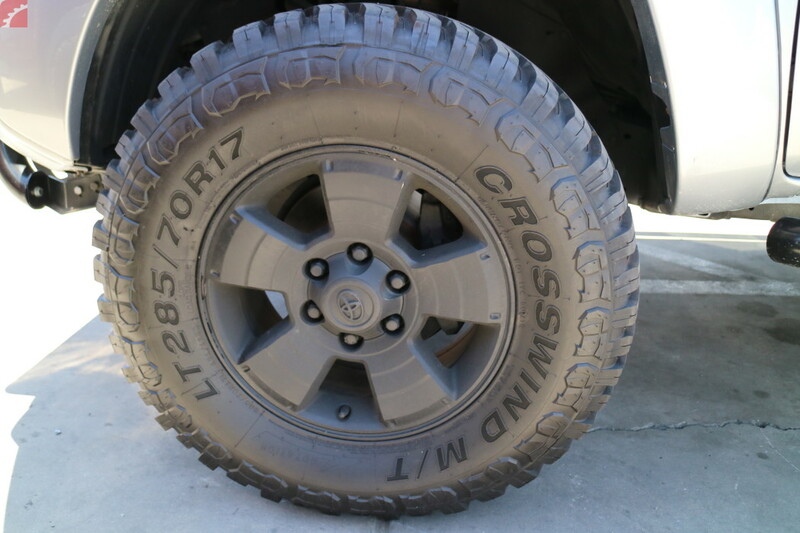 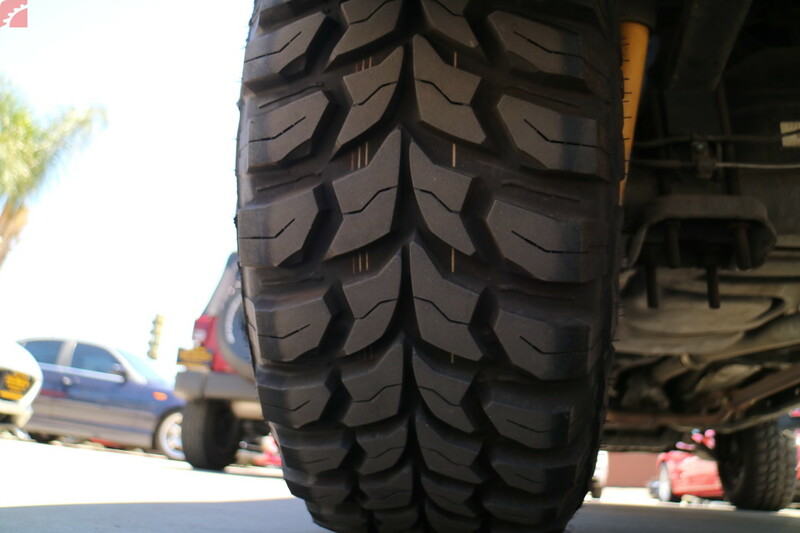 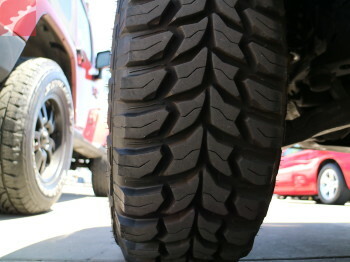 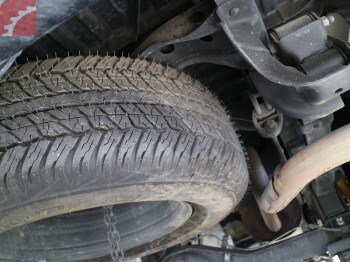 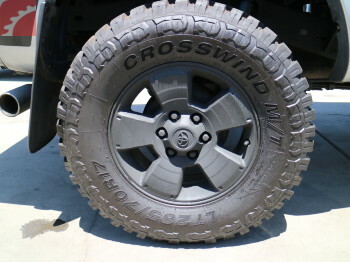 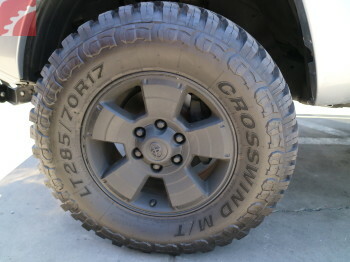 Aggressive off road tires are loud, causes cabin vibration. 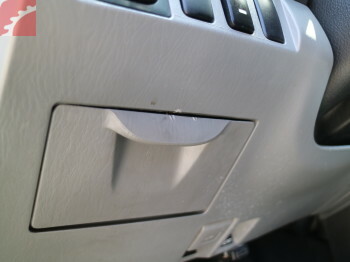 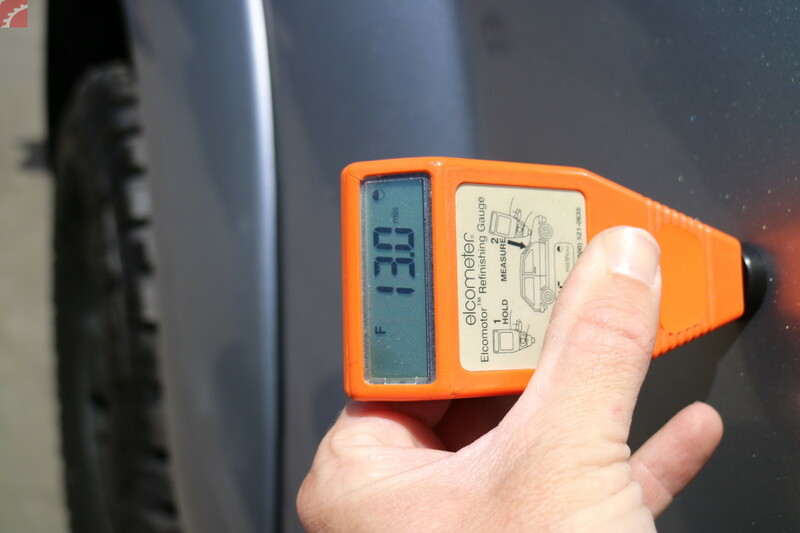 A/C blew cold at start of test drive, then became warm.